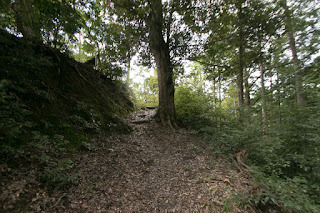 Inui Castle (犬居城) is built over Kaneuchi-yama mountain, one of about 150 meter height from hillside at the north of center of former Haruno town. 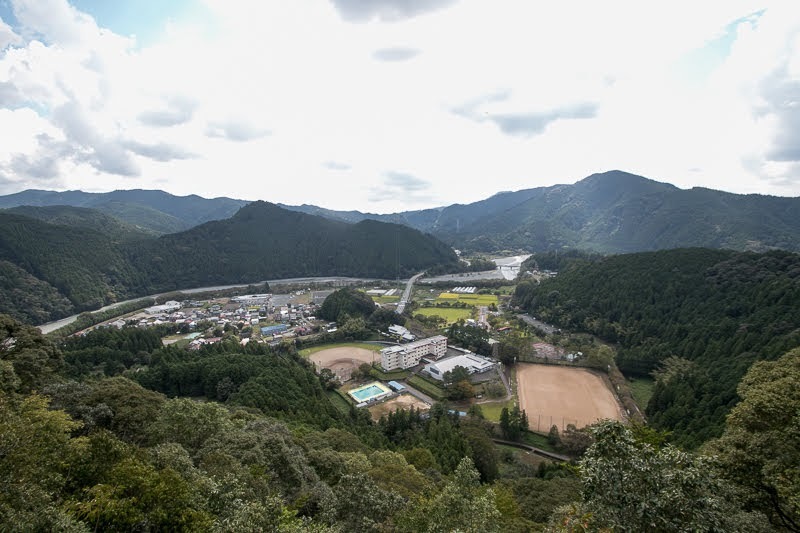 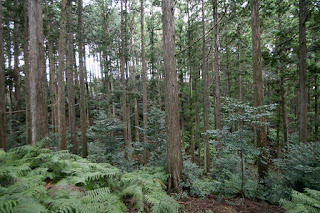 Haruno area is an about five kilometer long valley spread along with Keta-gawa river, a major tributary of Tenryu-gawa river at about 30 kilometer north of current Hamamatsu city. 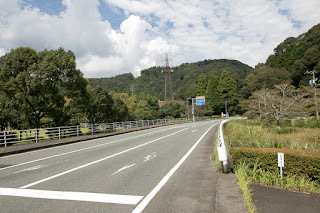 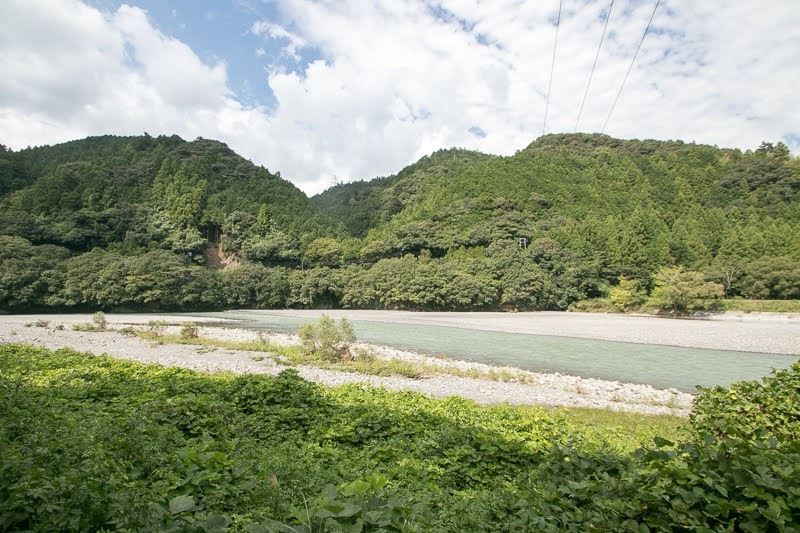 Haruno area had been the center of north part of Totomi province (western part of Shizuoka prefecture) as many roads built along with the river merges at this point. 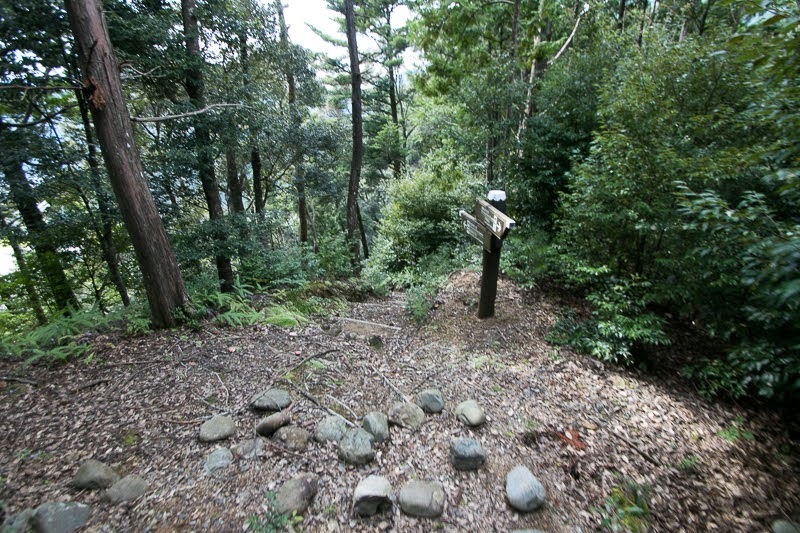 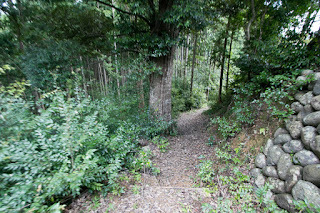 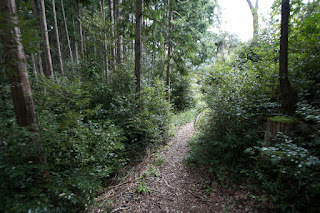 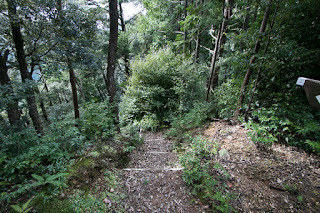 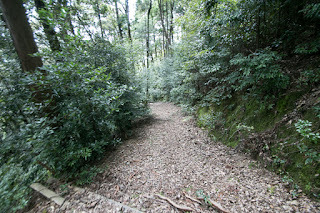 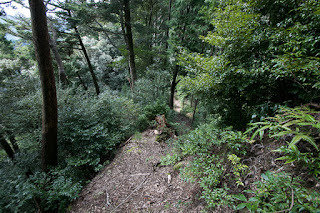 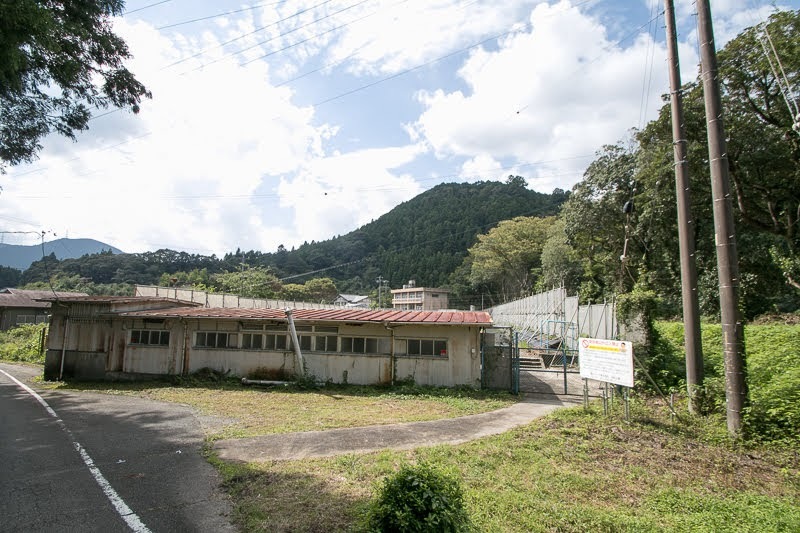 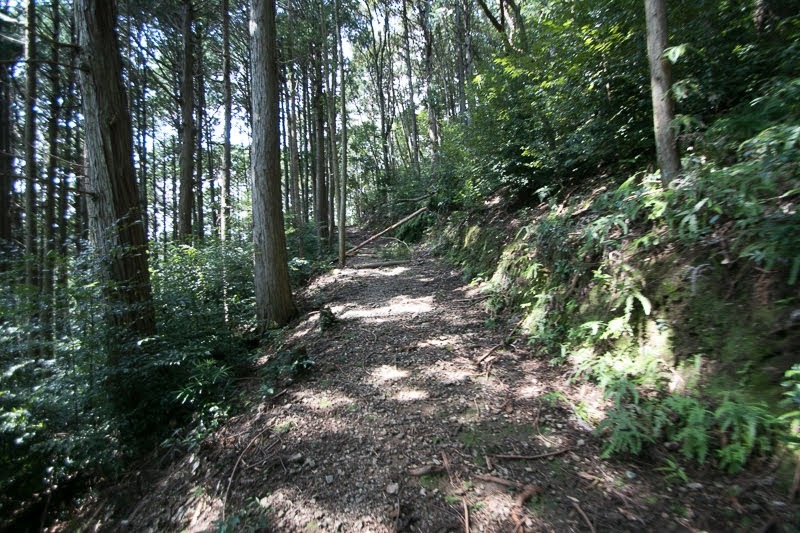 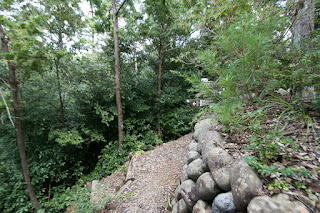 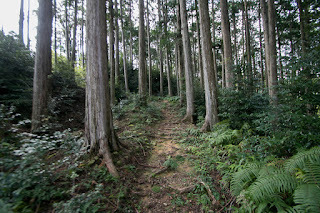 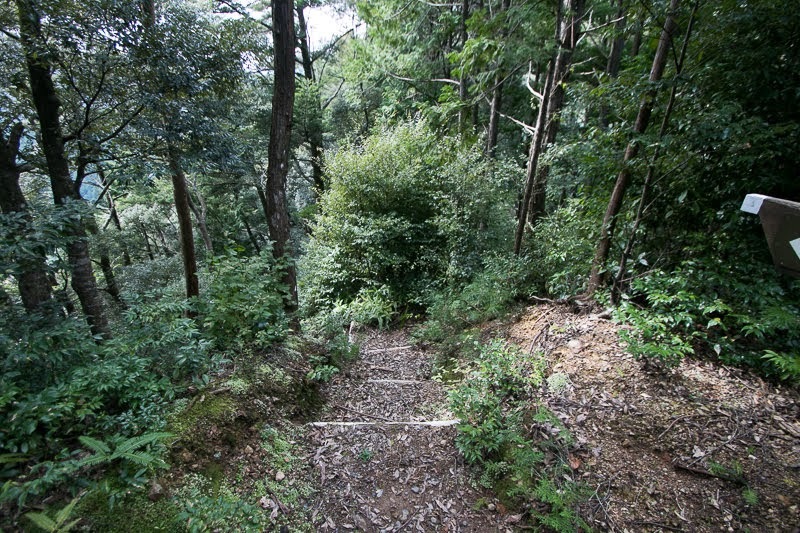 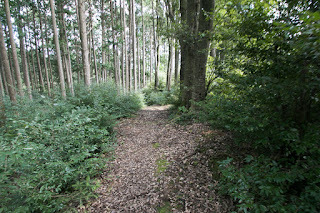 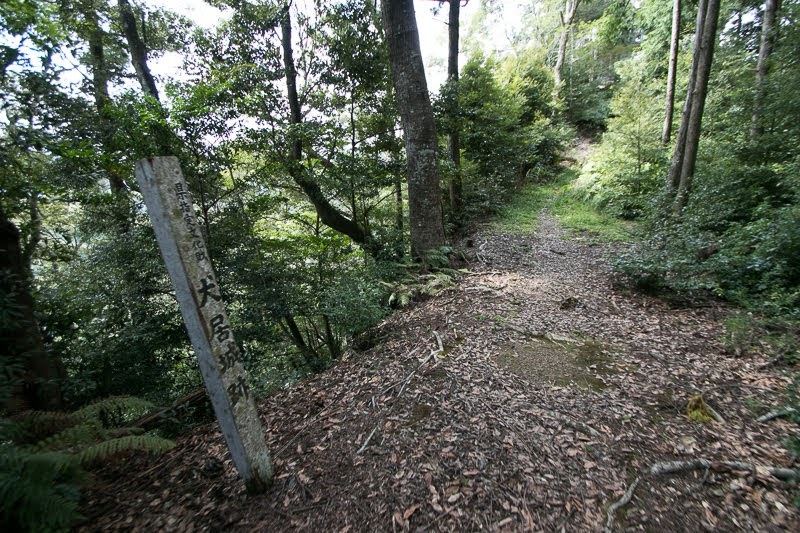 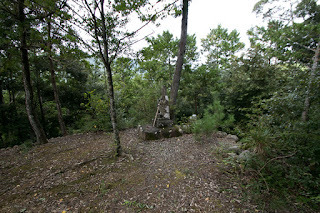 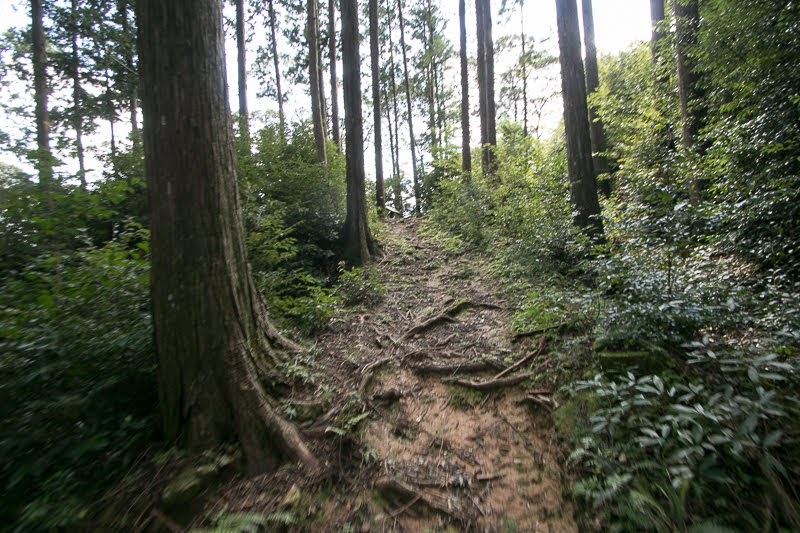 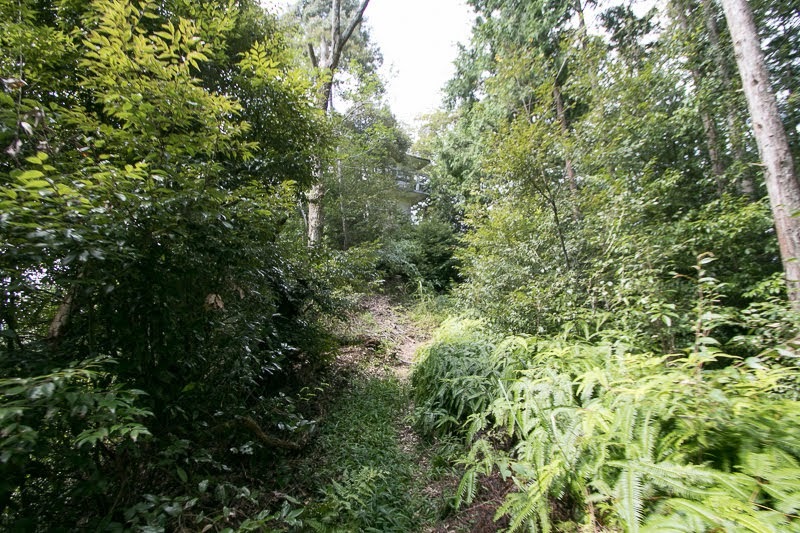 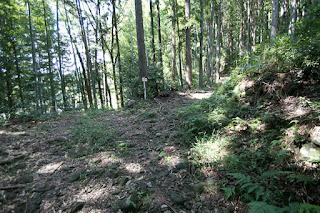 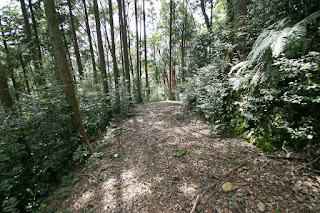 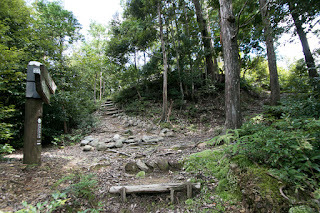 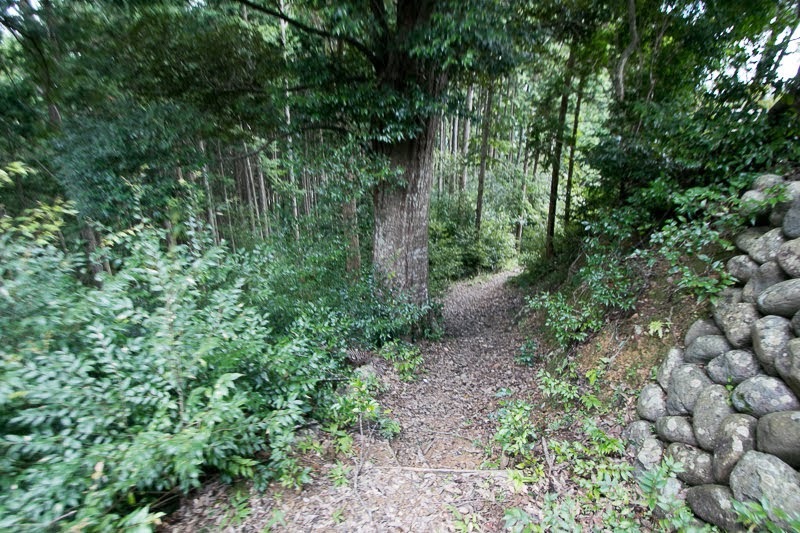 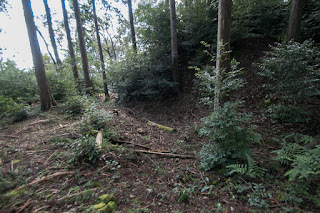 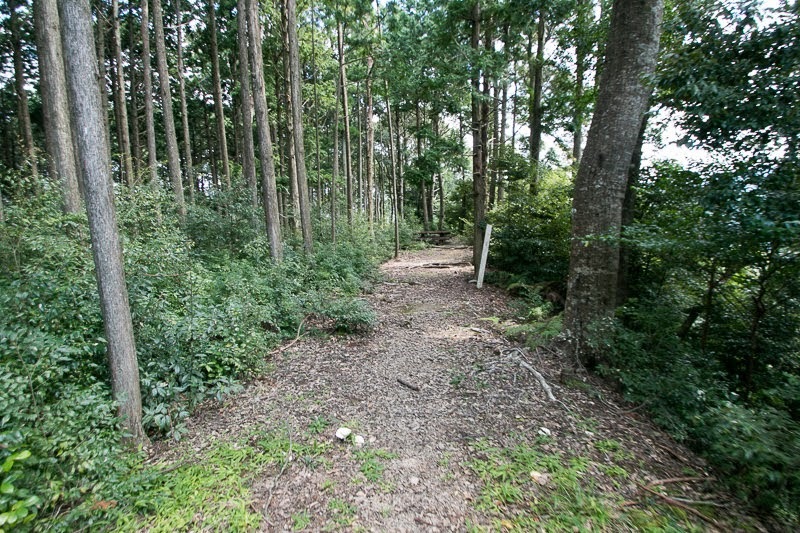 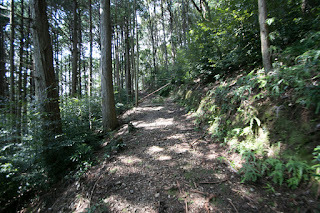 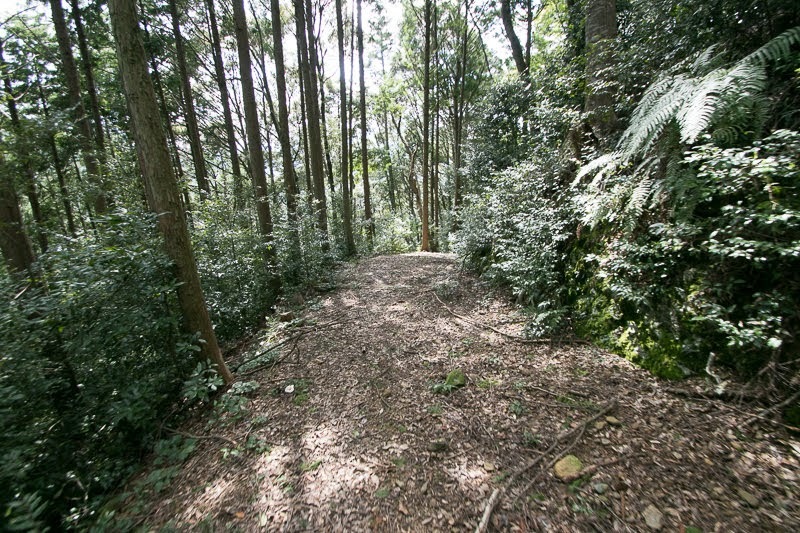 Mountainous roads from Hamamatsu area, Kakegawa area, Kawane area and Shinano province (Nagano prefecture) meets at this point, and this area is also an entrance to Akiba Shrine, which later widely worshiped as a god of preventing fire stands this area. Akiba Kaido roads used for pilgrim are also used for commerce and supported prosperity of Haruno area. 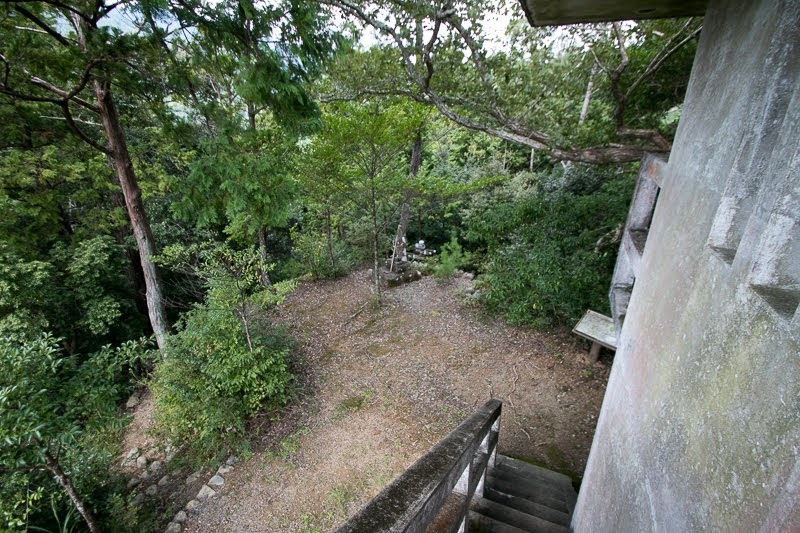 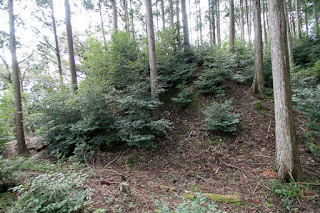 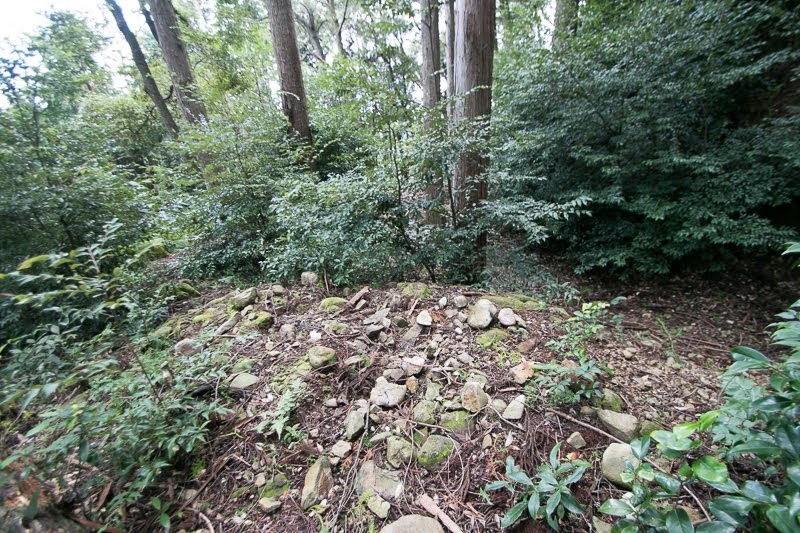 Precise year is unknown but Inui castle might be built in 14th century by local lord Amano clan. 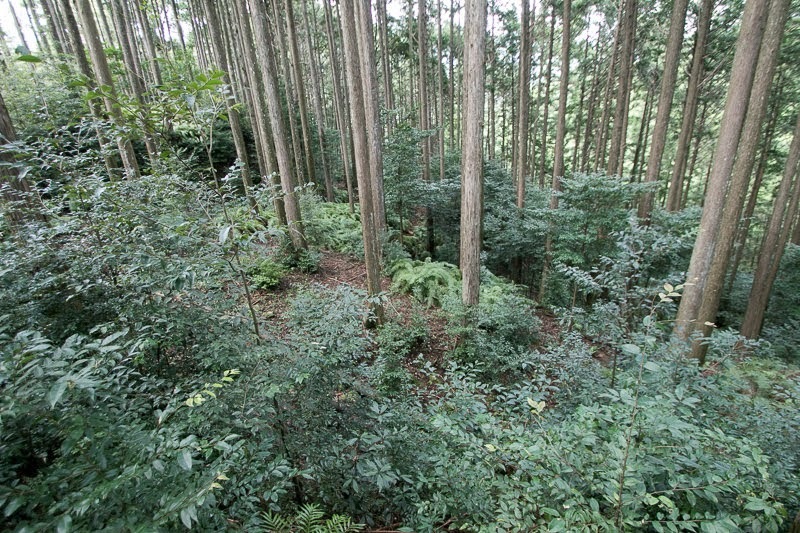 Amano clan was originally a small lord in the north part of Izu peninsula. 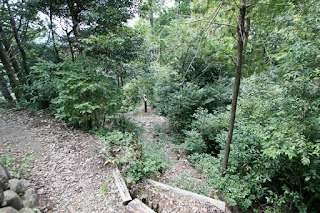 As Yoritomo Minamoto (1147-1199), the founder of Kamakura Shogunate, was exiled to neighbor place, Amano clan participated in the raise of Yoritomo from its first stage. 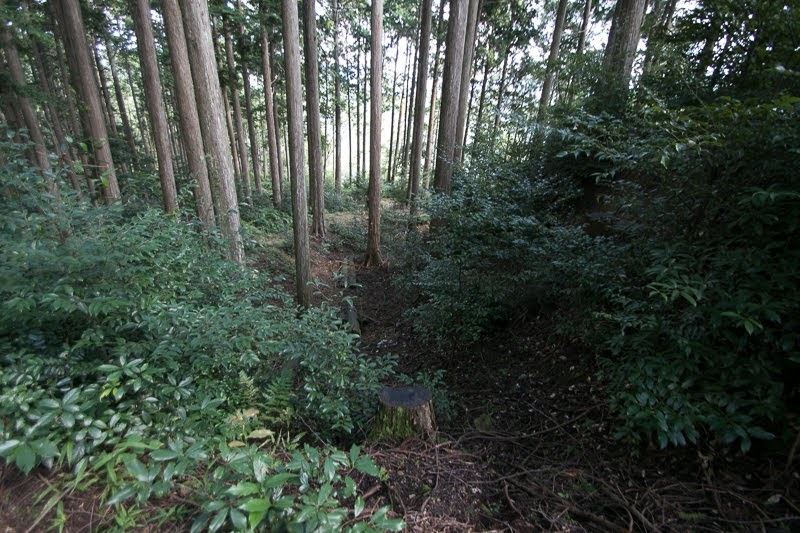 Amano clan contributed to the battle of Yoritomo against Taira clan, and also activated in the battle of Jokyu against Emperor in 1221. 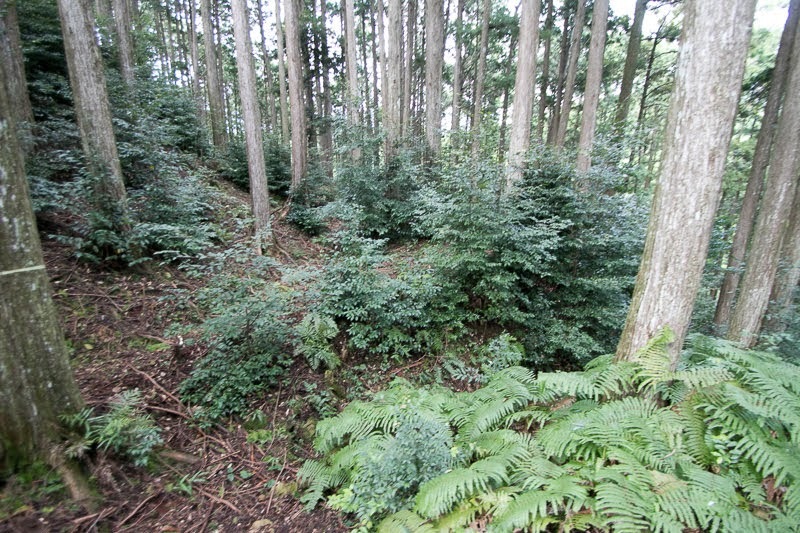 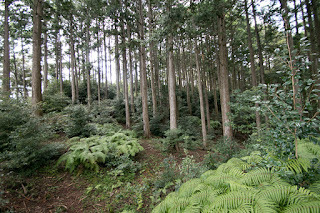 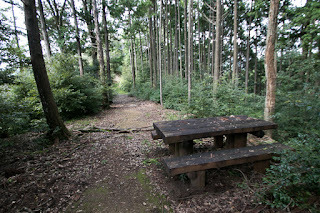 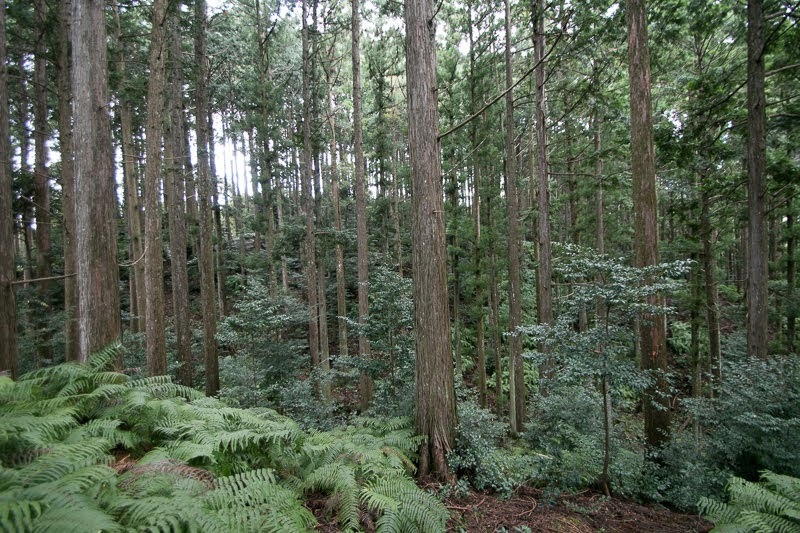 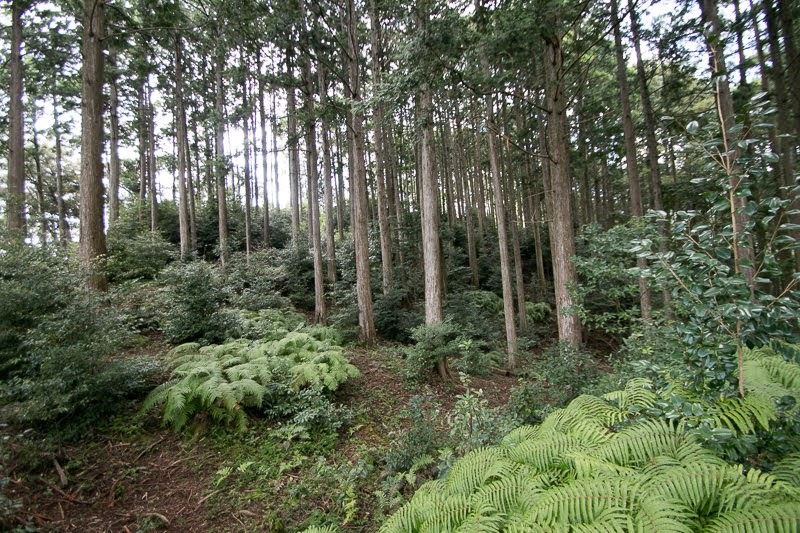 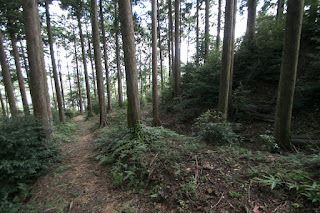 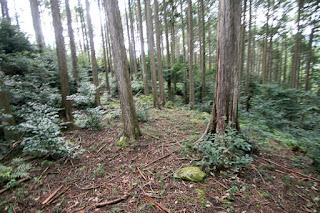 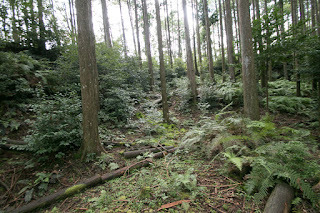 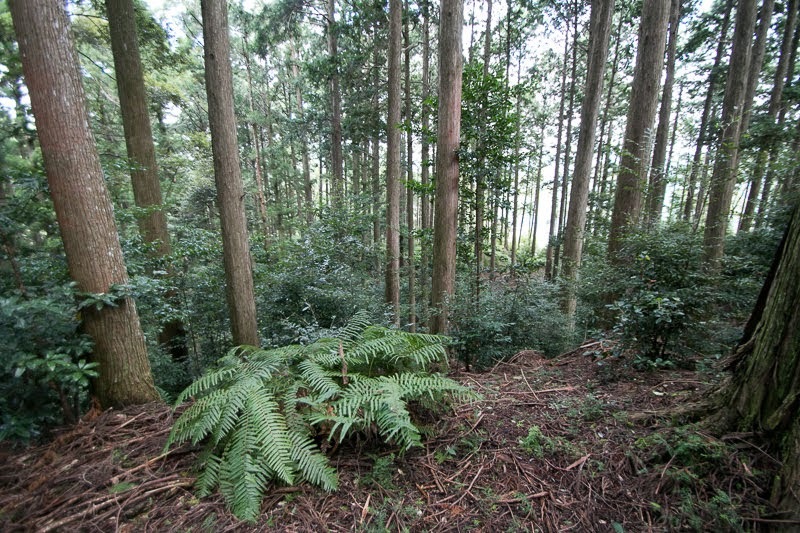 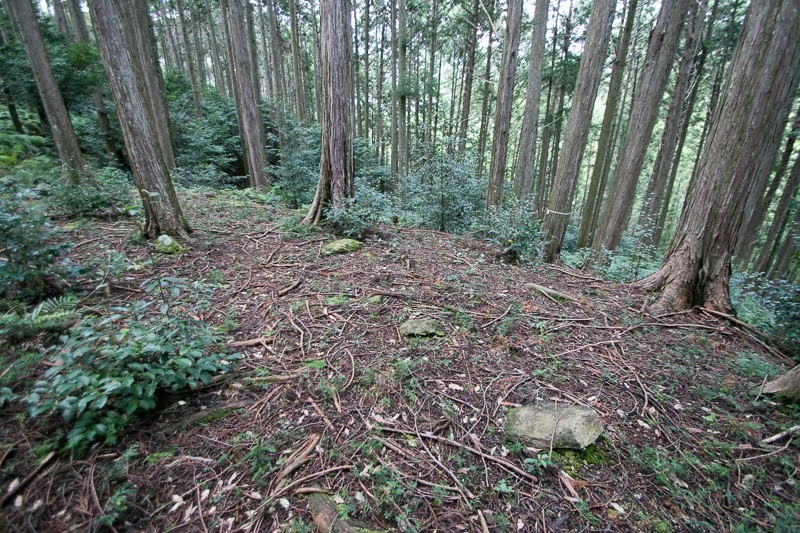 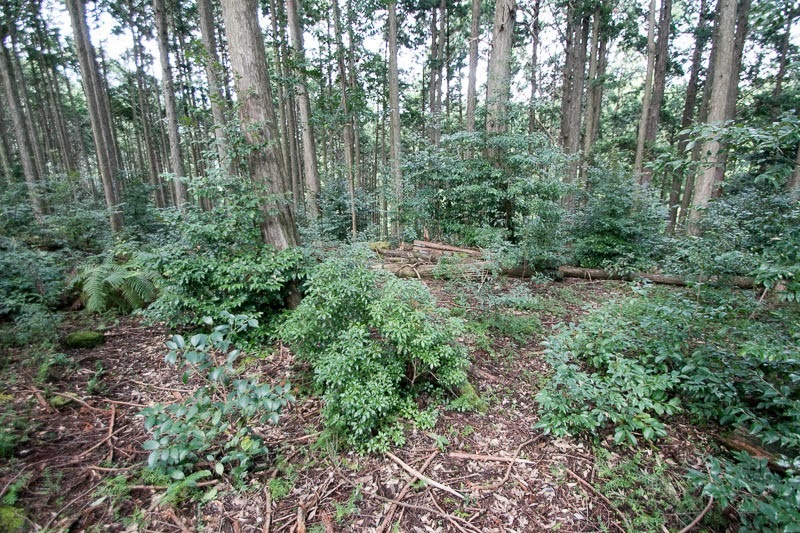 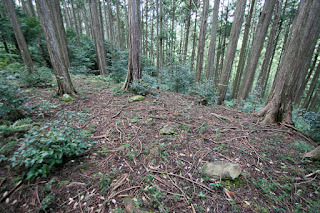 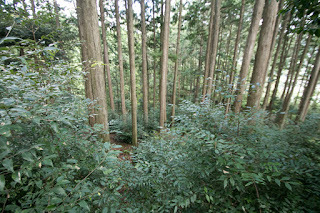 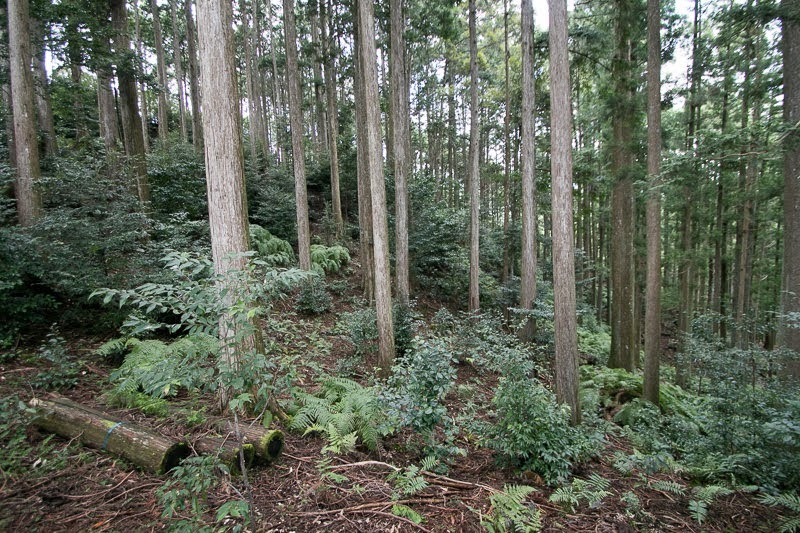 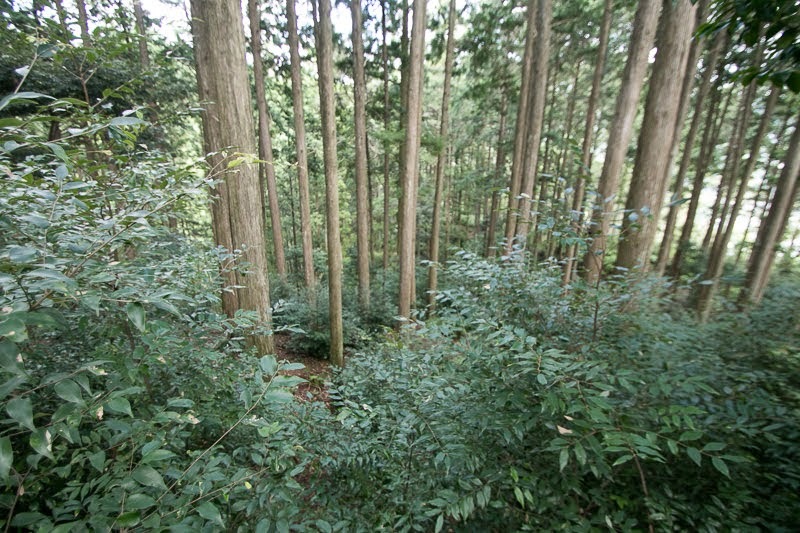 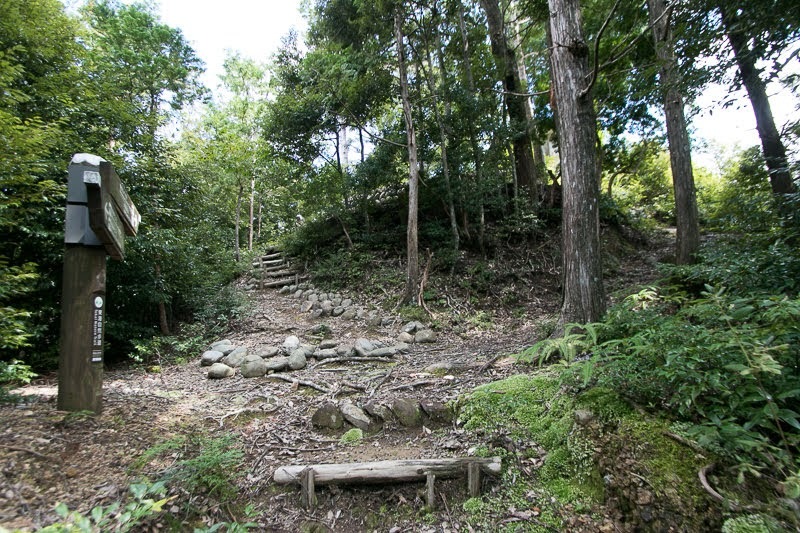 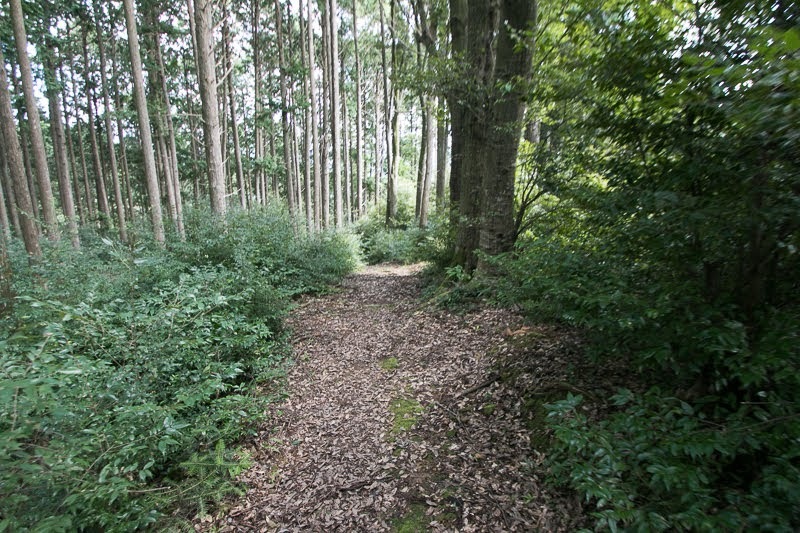 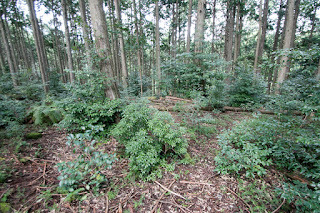 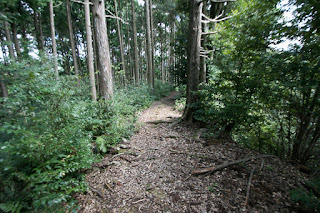 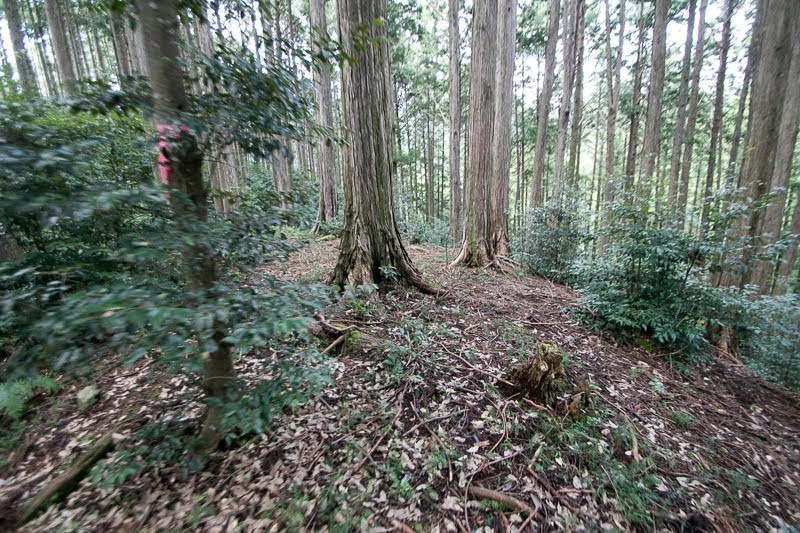 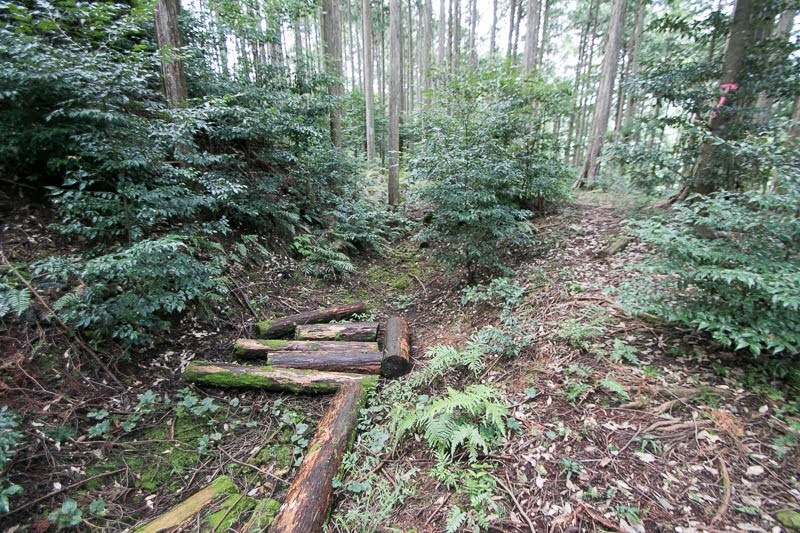 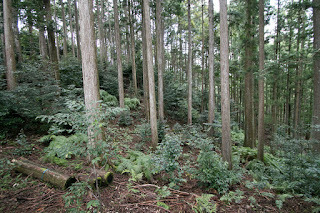 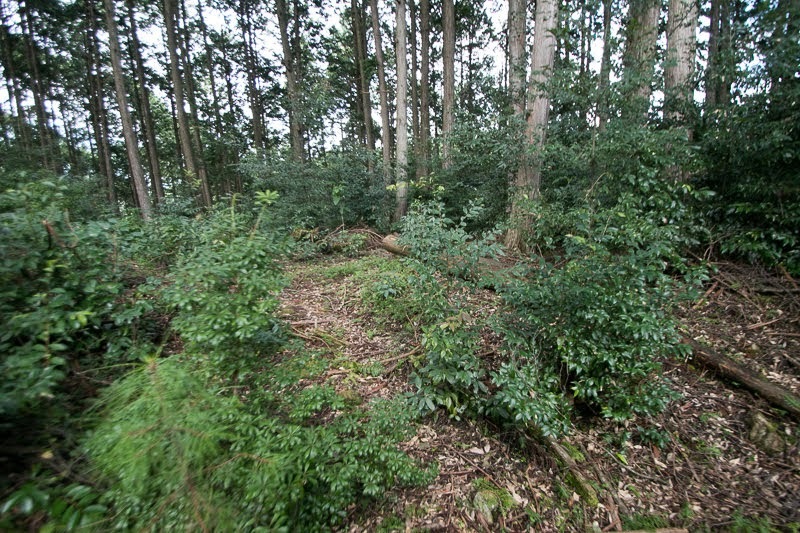 Amano clan achieved various places as their manor, and mainly remained at Inui area of Totomi province and Aki province. 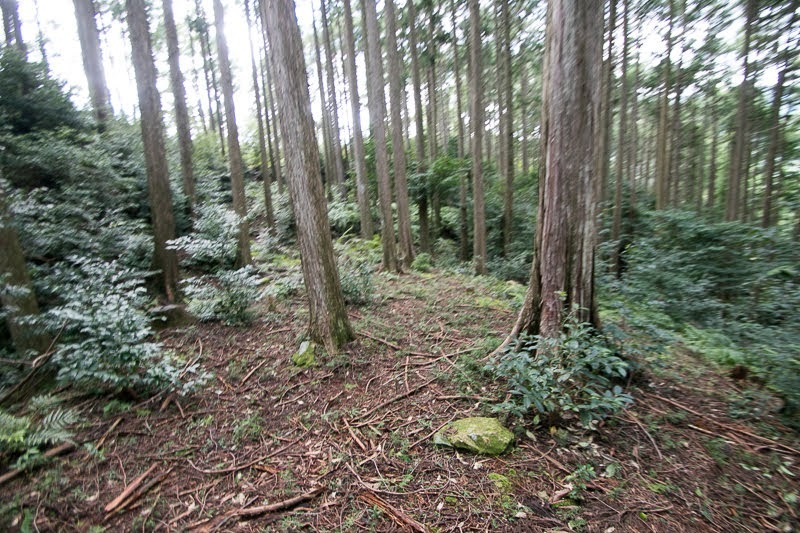 Amano clan at Aki province later became major retainer of Ouchi clan or Mouri clan. 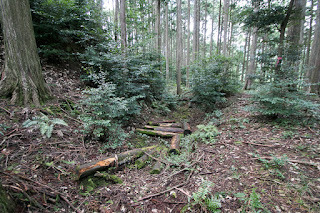 After the fall of Kamakura Shogunate, among the conflict of Muromachi Shogunate and the South Court, north part of Totomi province became the front of both powers. The South Court army resisted at mountainous area of Shinano province and Totomi province, and Muromachi Shogunate placed their relative Shiba clan and Imagawa clan at coastal area to ruin South Court army. 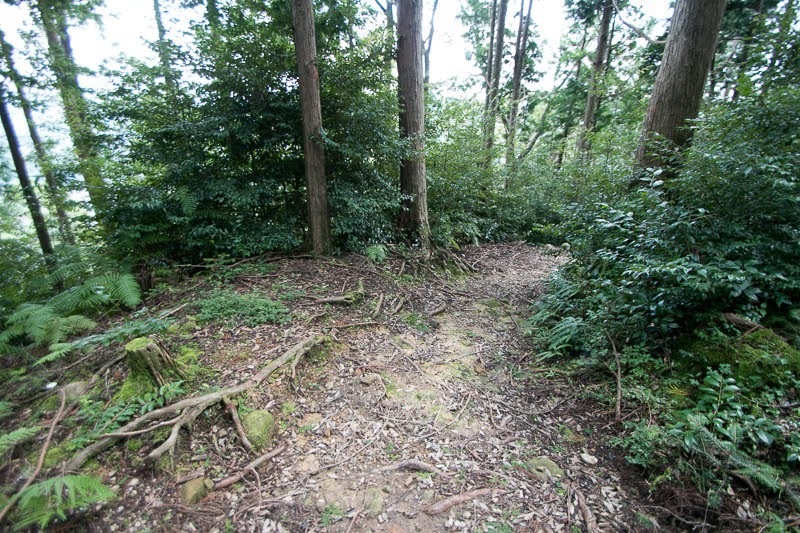 Among the conflict of Muromachi Shogunate and the South Court, Amano clan at Inui area divided into both side and fought each other. 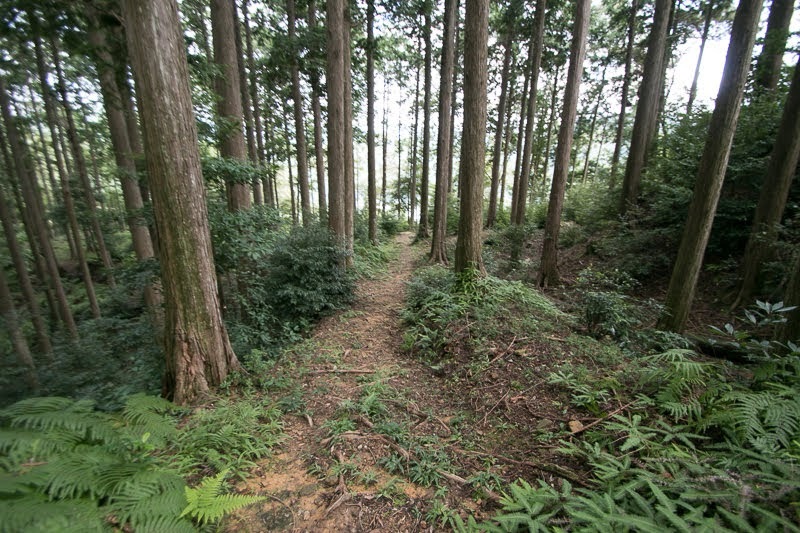 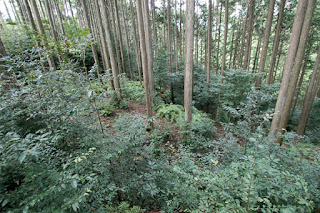 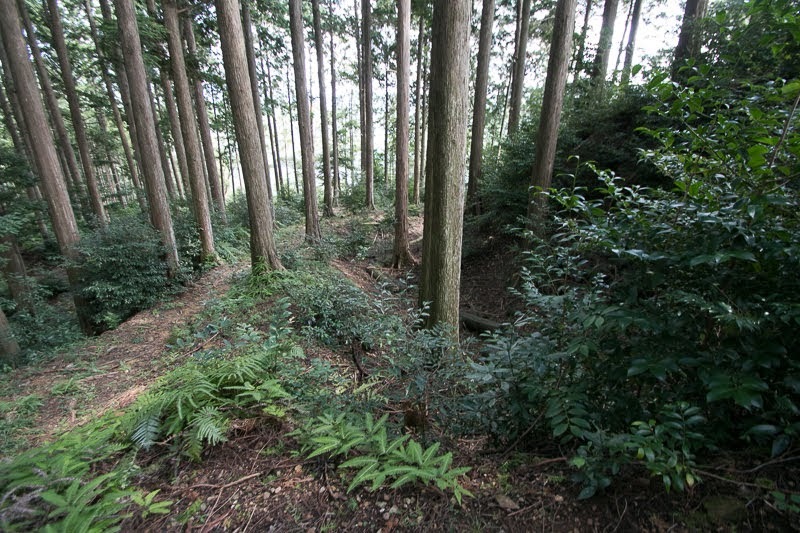 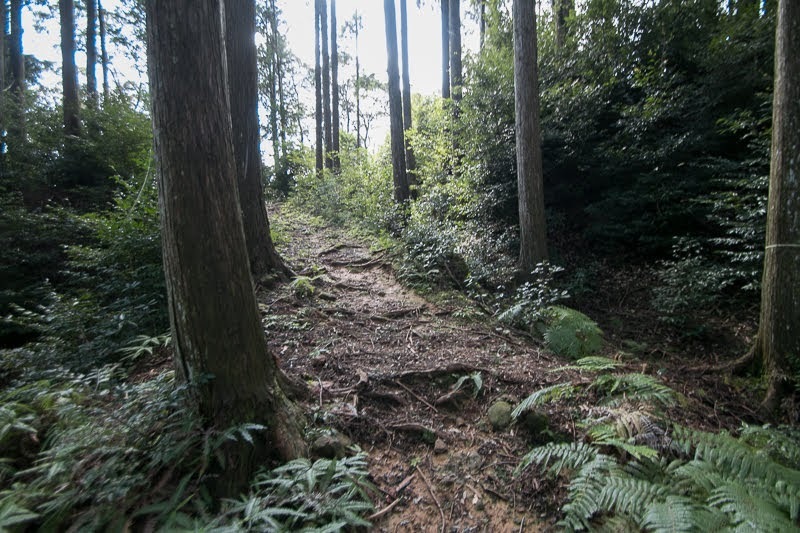 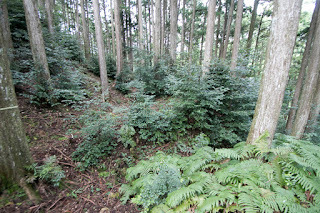 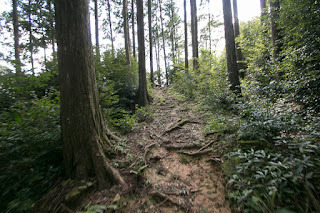 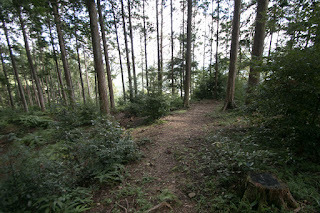 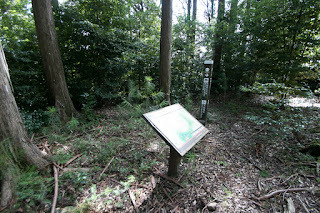 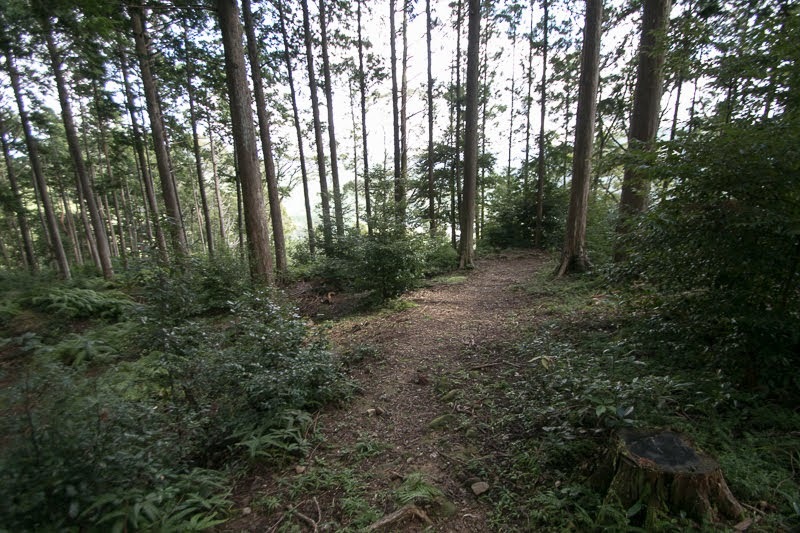 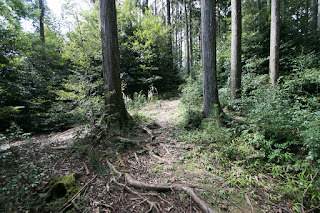 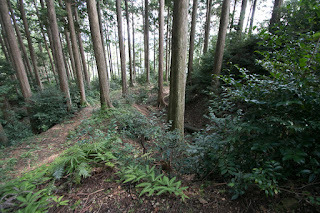 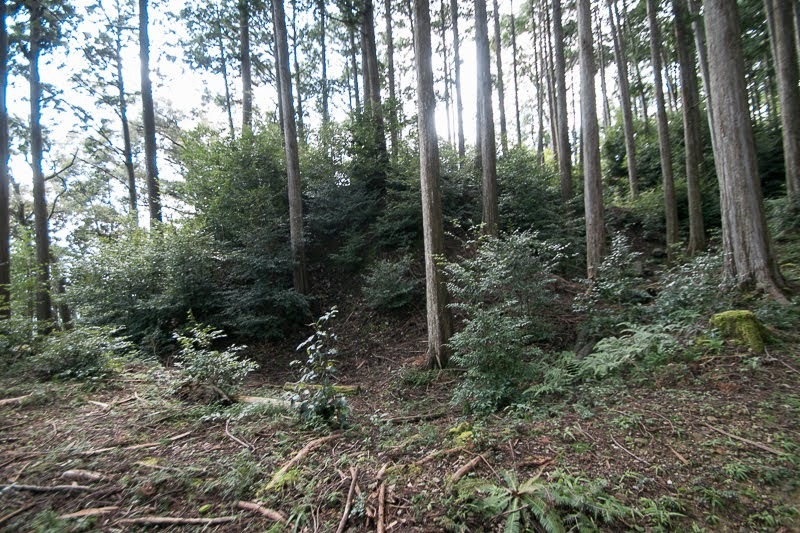 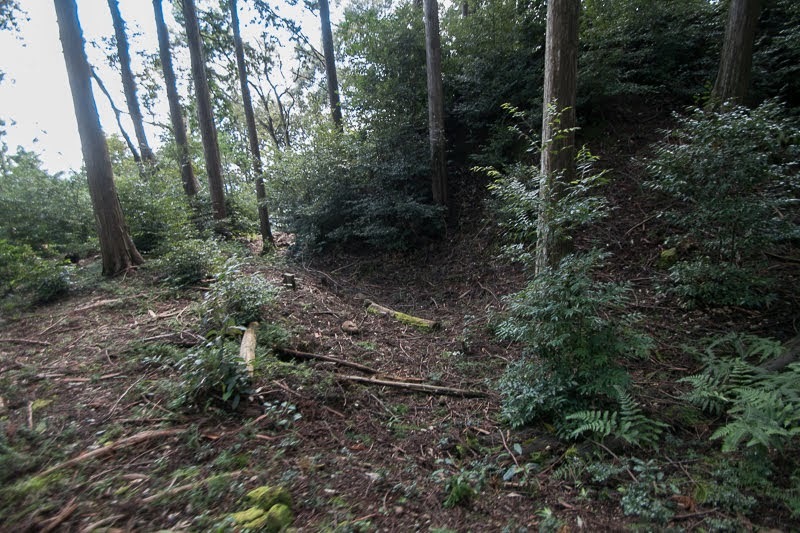 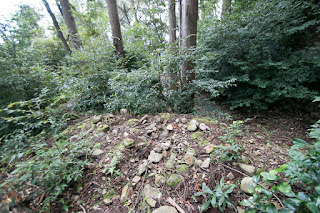 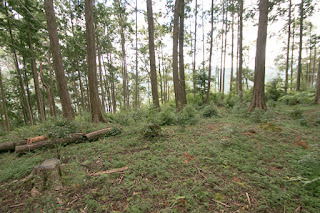 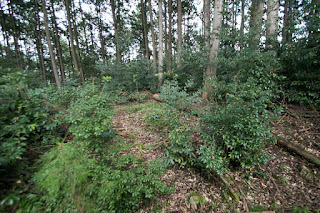 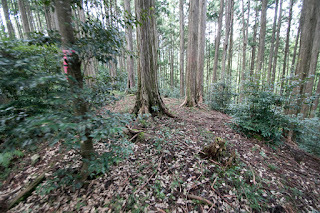 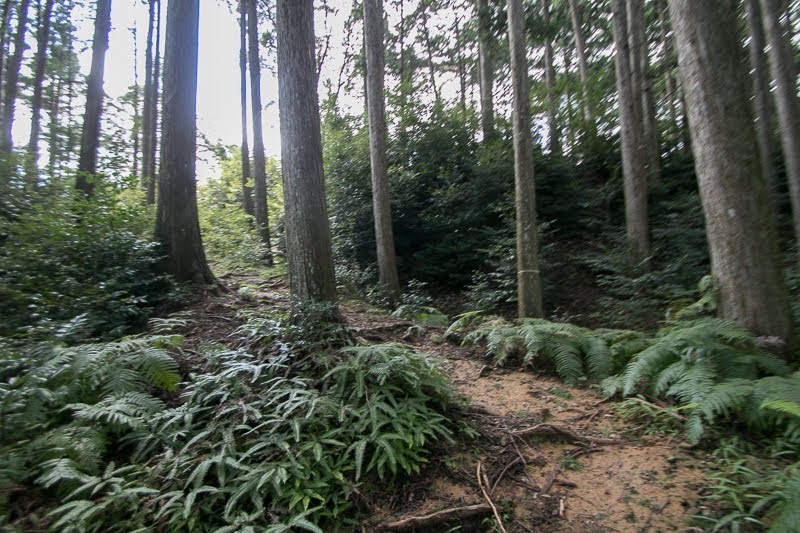 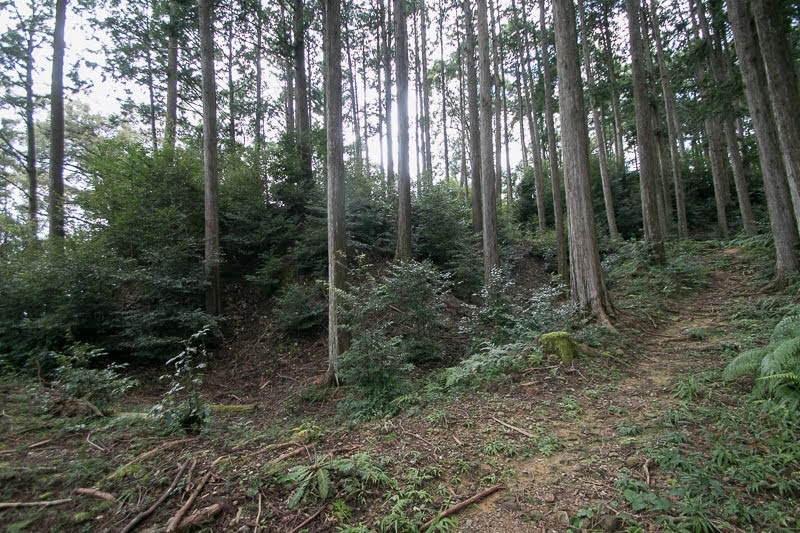 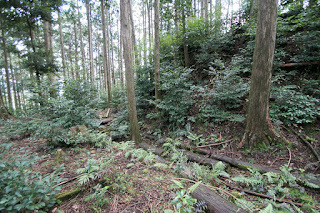 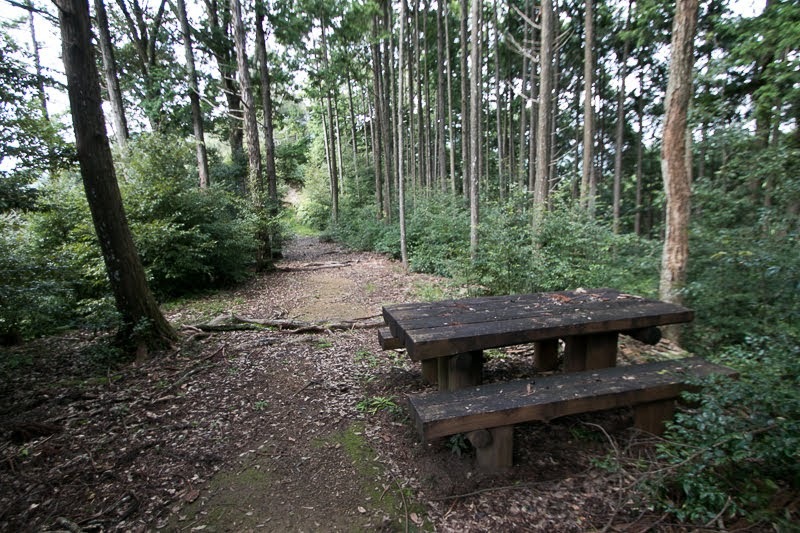 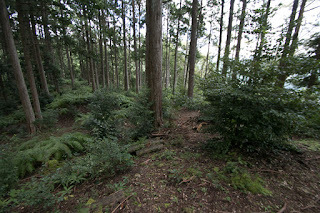 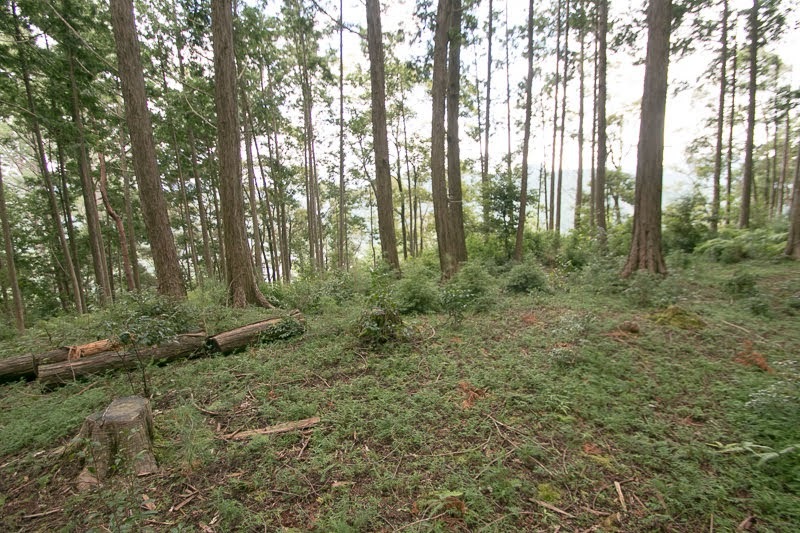 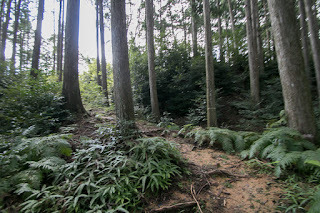 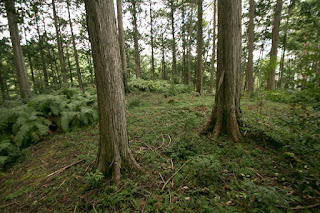 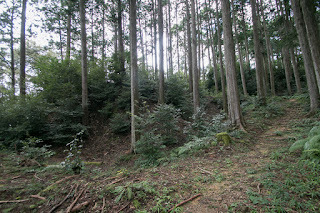 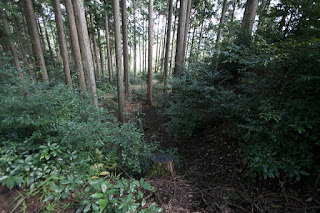 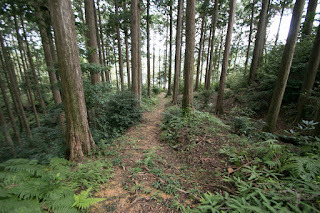 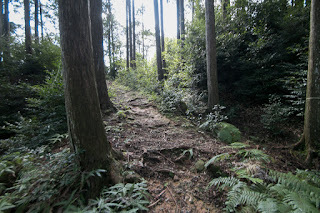 However, by the middle of 15th century South Court army of this area disappeared, and later Imagawa clan which was the governor of Suruga province (middle part of Shizuoka prefecture) advanced into Totomi province by the end of 15th century. 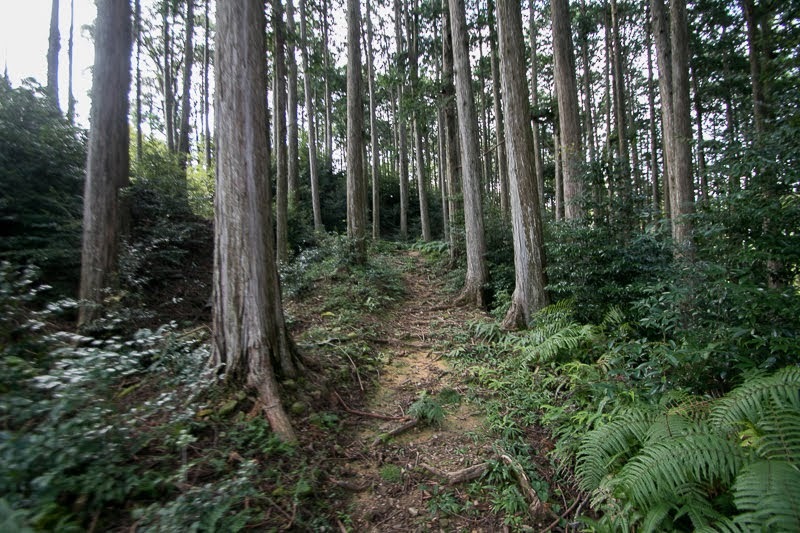 In the former half of 16th century, Imagawa clan surpassed continuous internal conflicts and became a strong warlord under its leader Yoshimoto Imagawa (1519-1560). There were still two families of Amano clan but both belonged to Imagawa clan, and were treated as important retainers. 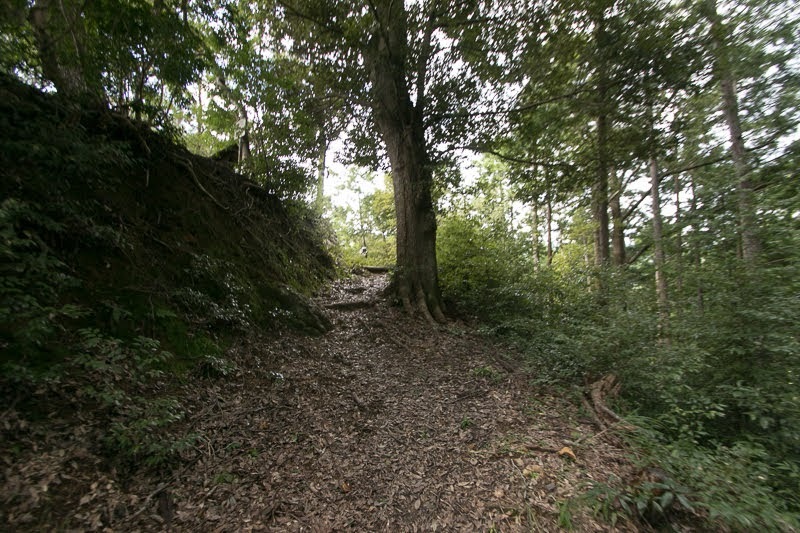 In 1547, Imagawa clan attacked Toda clan at Tahara castle of Mikawa province (eastern half of Aichi prefecture), and Amano army activated at this battle. However, Yoshimoto Imagawa was defeated at the battle of Okehazama before Nobunaga Oda (1534-1582) in 1560, and died in the battle. 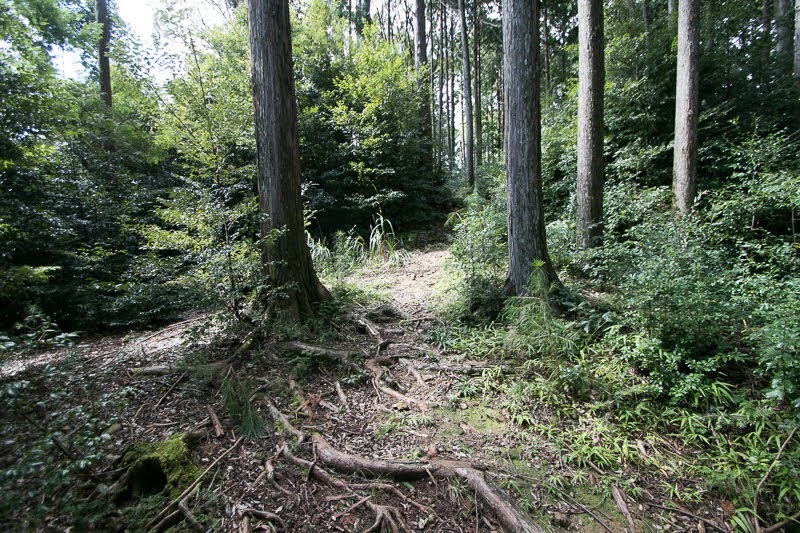 At first main family of Inui clan attempted to leave Imagawa clan and raised their army, but was not supported by local people thus another family succeeded it by the support of Imagawa clan in 1563. 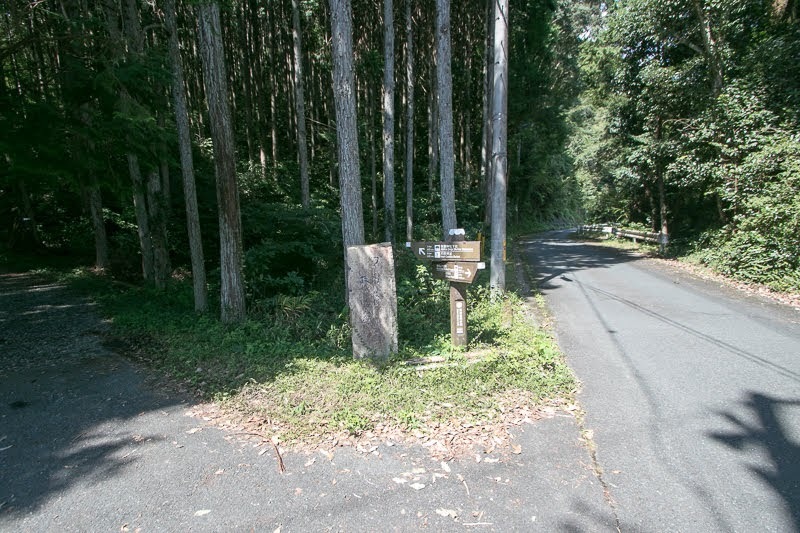 However, Ieyasu Tokugawa who pushed out Imagawa army from Mikawa province next tried to proceed into Totomi province. 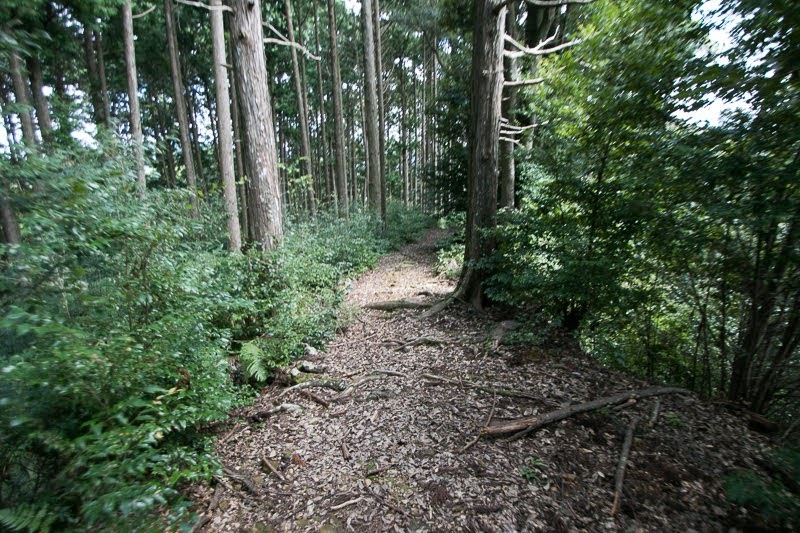 In 1568, Ieyasu Tokugawa and Shingen Takeda secretly allied and attacked Imagawa clan at same time. 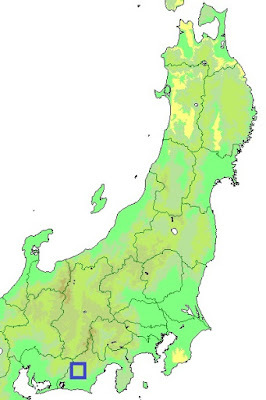 Imagawa clan could not resist this attack then was ruined, thus Ieyasu and Shingen captured Totomi province and Suruga province respectively. 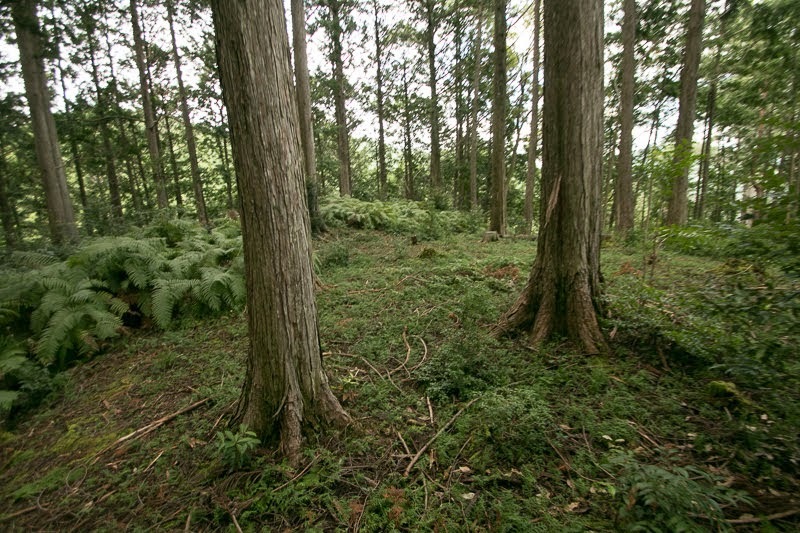 Amano clan once followed to Ieyasu Tokugawa, but this was a start of next conflict between Shingen and Ieyasu. 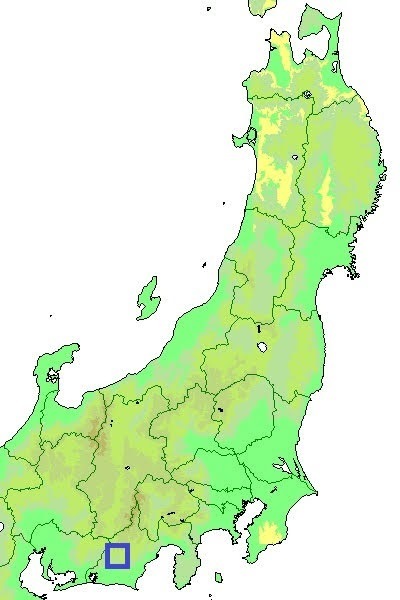 In 1571, Shingen broke the alliance with Nobunaga Oda who was the ally of Ieyasu Tokugawa, and started attack to the territory of Ieyasu and Nobunaga. As Nobunaga had to cope with the enemy of Kyoto area and Ieyasu was weak compared with Shingen, Amano clan decided to follow to Shingen along with neighbor small lords such as Sugenuma clan or Okudaira clan. 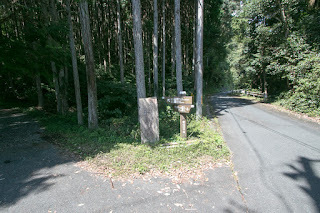 In 1572, Shingen raised his army to defeat Ieyasu and Nobunaga, and invaded Totomi province from various roads. 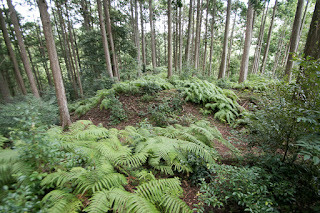 Amano clan became the vanguard of this expedition, thus Takeda army fell Futamata castle (Shizuoka prefecture) next to Amano territory then broke Tokugawa and Oda army at the battle of Mikatagahara. 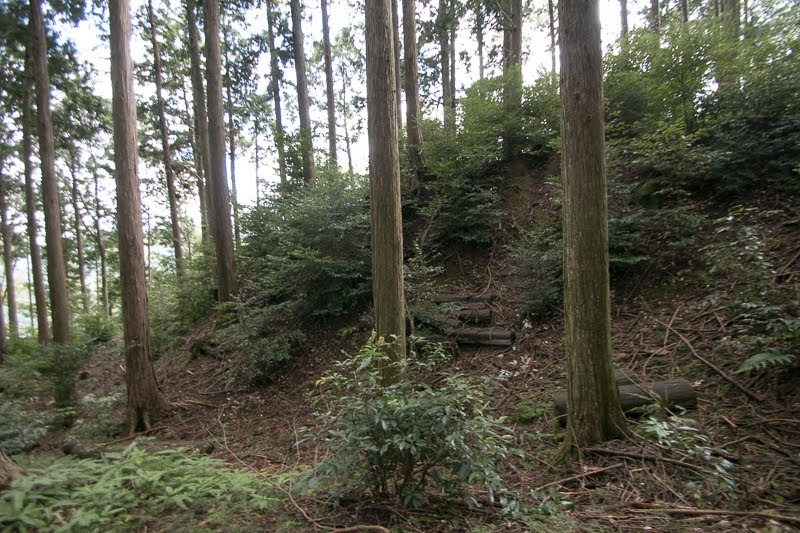 At this point Amano clan was regarded as an important retainer of Takeda clan, and reformed Inui castle by their technology. 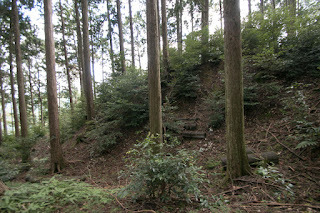 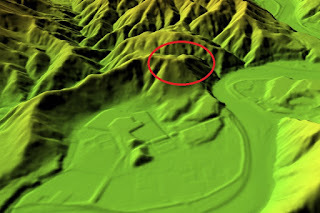 Inui castle was built over a long and narrow ridge of the mountain spreads east and westward. 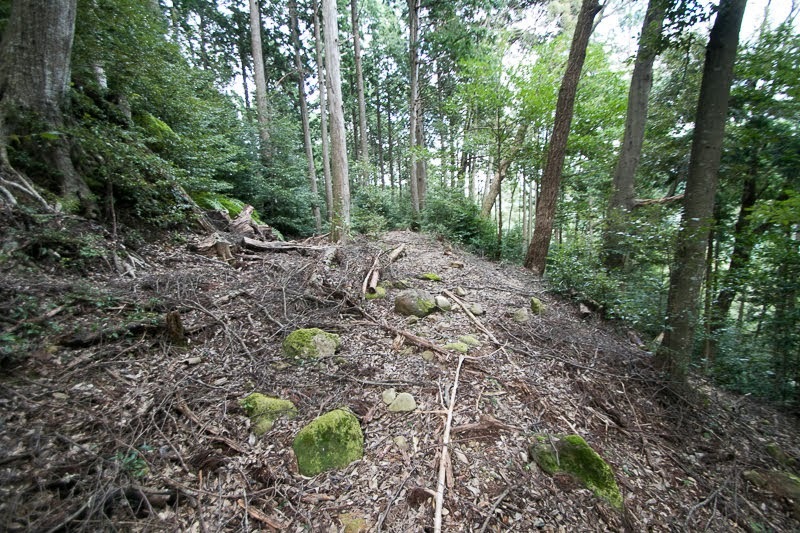 Central area of the castle is an oblong shaped area of 20 meter long and 10 meter wide at the highest point of mountain. 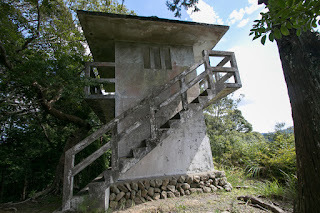 Now there is a small watching tower at this point. 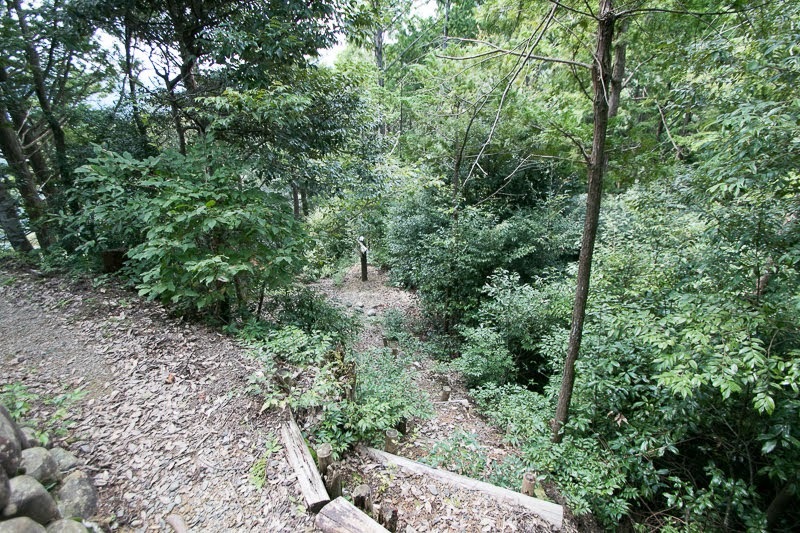 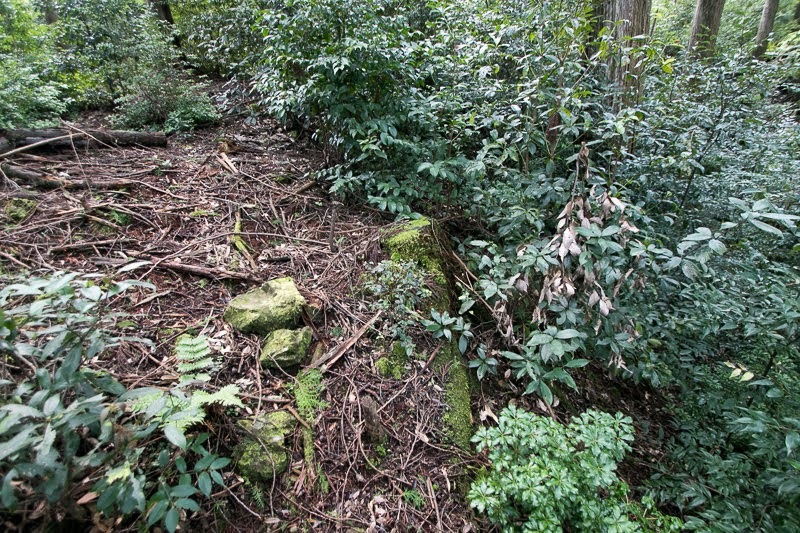 Western side of central area is divided by deep dry moat from outside of the castle. 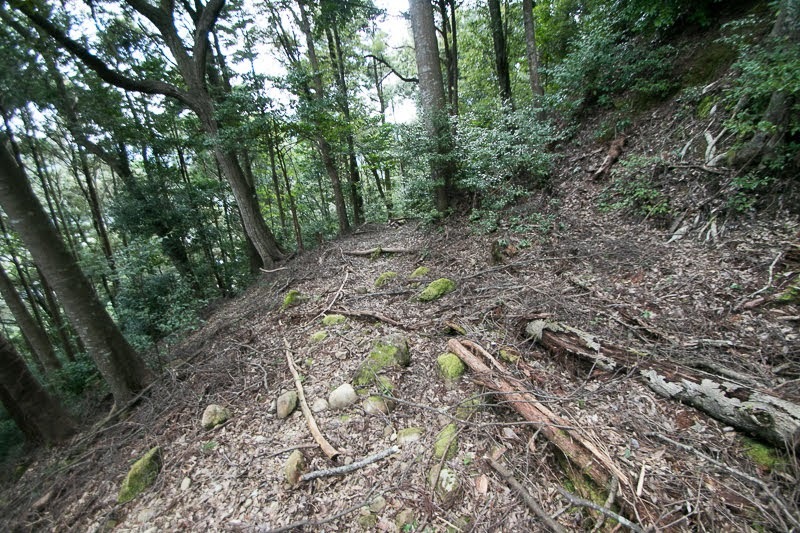 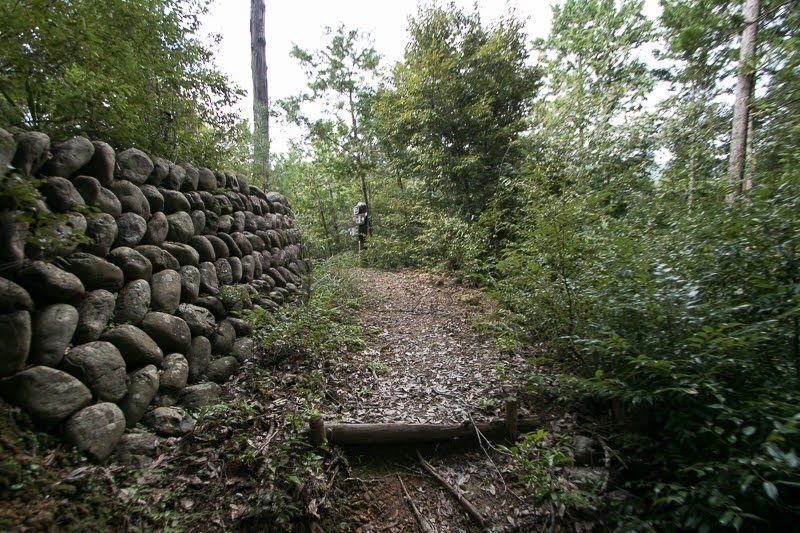 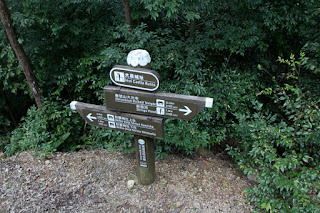 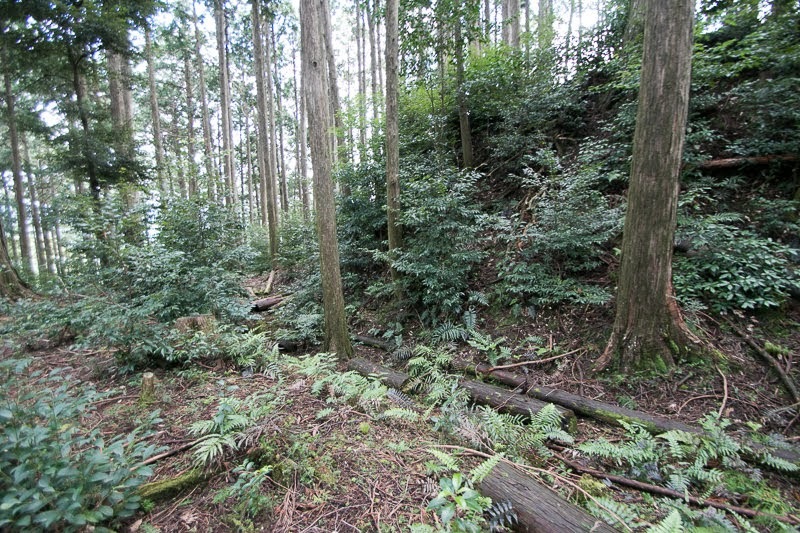 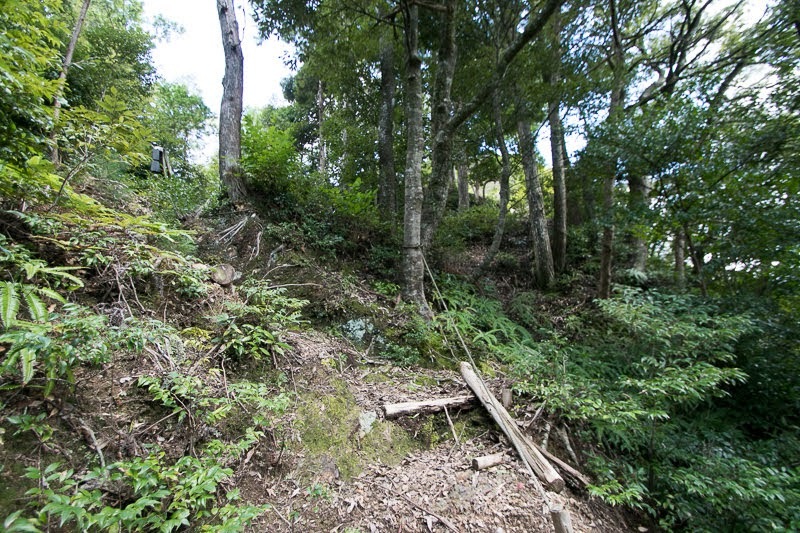 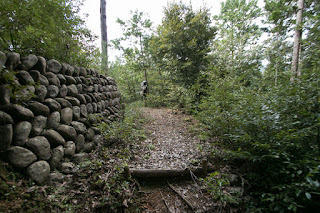 At the east of central area, there are three layer of terraces built at the top and north slope of the mountain. Middle layer of three terraces might be an important area, and edge of this middle layer is protected by dry moat. 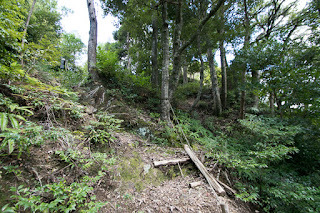 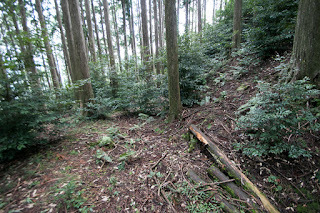 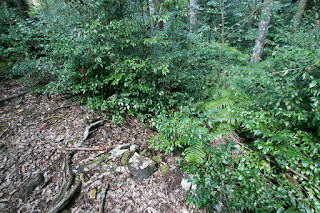 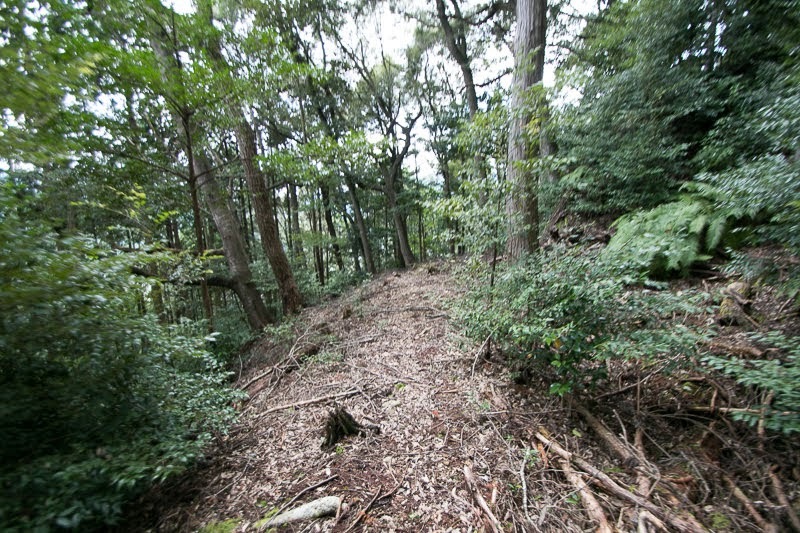 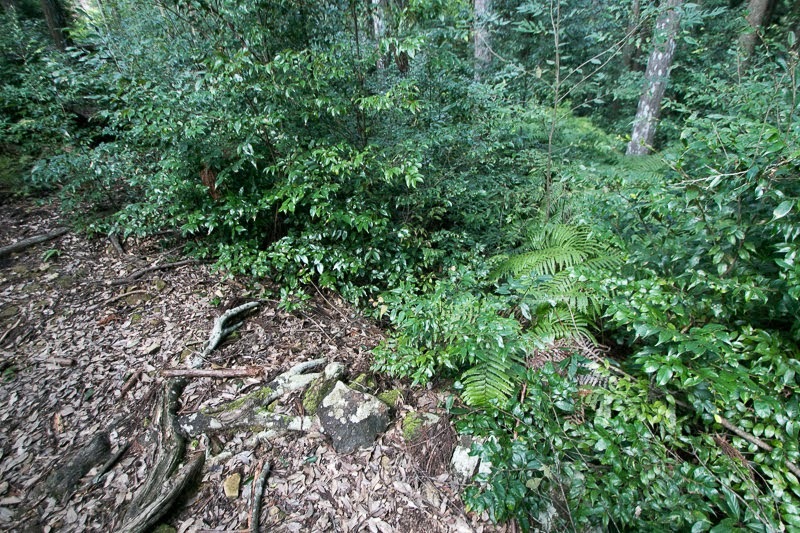 At the north of these three layer terraces, there is a water supply area which equips well at the middle of the slope. At the east of these areas, there is a huge buffer area which is roughly a half circle and surrounded its front face by crescent shaped dry moat. 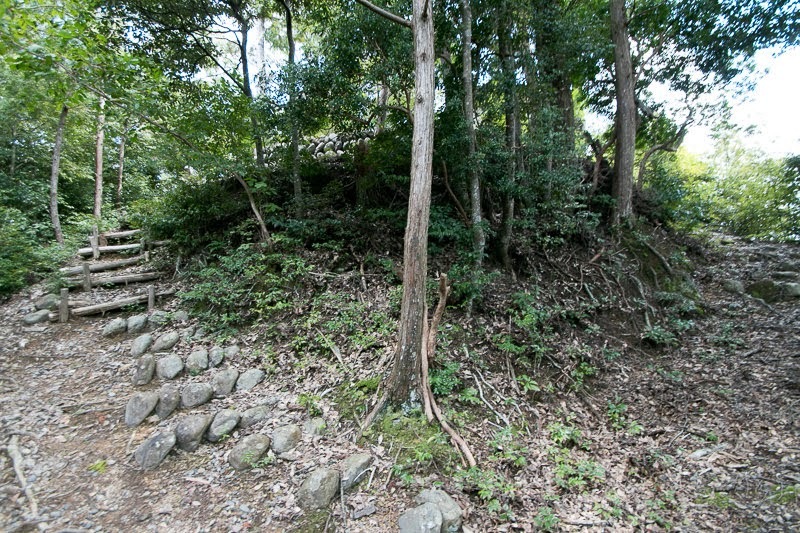 This half-circle style front fort is a typical element of Takeda clan castles named as “Maru-Umadashi”, and this strongly shows Inui castle was under control of Takeda clan as if it is a tattoo. 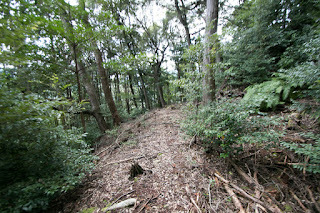 Total size of the castle is about 250 meter long and 100 meter wide, and is becoming as a main base of major local lord. 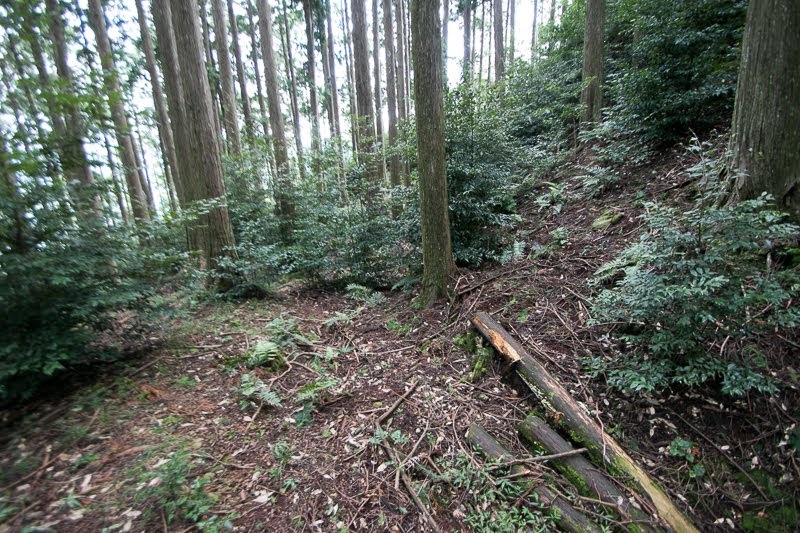 However, the fate of Amano clan suddenly fell into severe situation. Shingen Takeda died in ill on the campaign to Kyoto city in 1573, then Ieyasu and Nobunaga started their counterattack to Takeda army. 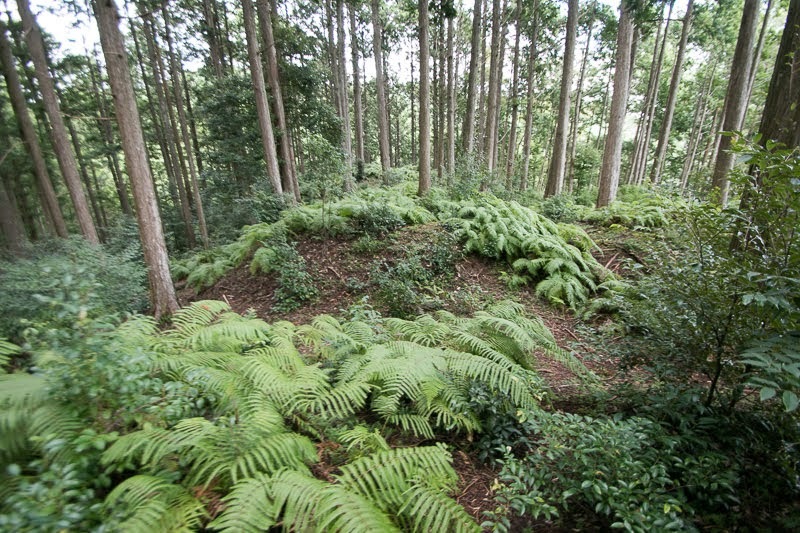 As Futamata castle and Inui castle was close to Hamamatsu castle (Shizuoka prefecture), the main base of Ieyasu and could divided the territory of Tokugawa clan, they became the first target of this counter attack. 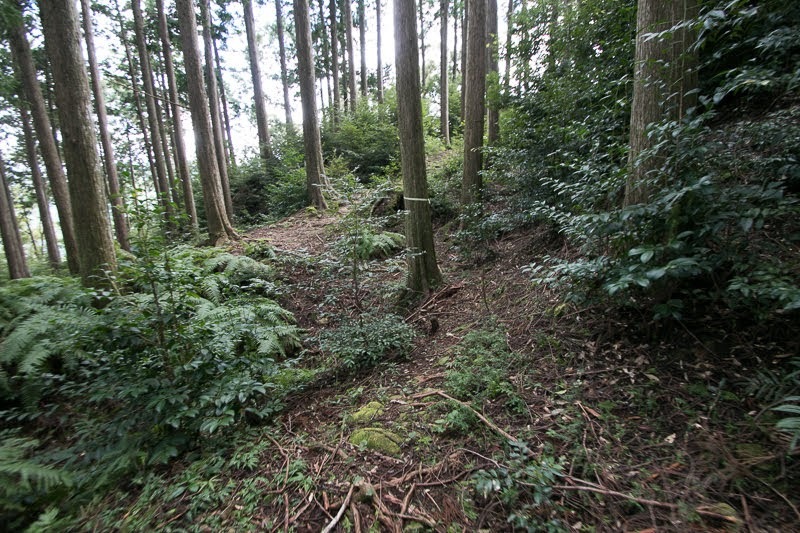 In 1574, Ieyasu attacked Inui castle but Amano clan well resisted and broke Tokugawa army. 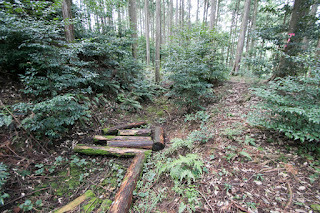 However, in 1575, Takeda army suffered fatal defeat at the battle of Nagashino before matchlock gunners of Oda army and lost many generals and soldiers. 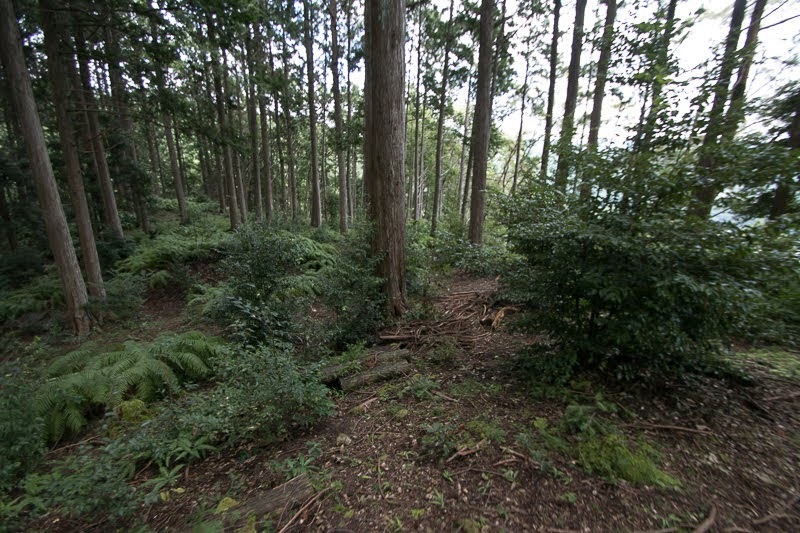 Takeda clan significantly lost its power, and Ieyasu accelerated his counter attack to Takeda clan stayed at Totomi province. 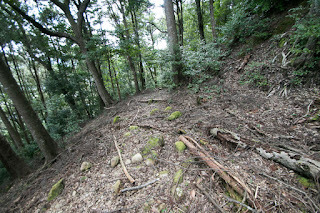 In 1575, Ieyasu fell Komyo castle at the middle of Futamata castle and Inui castle then broke the connection of both castles. 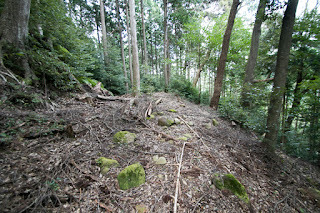 Next year Ieyasu finally fell Futamata castle then attacked Amano clan next. 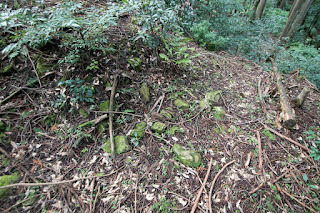 Ieyasu built forts surrounding Inui castle then fell its branch castle, then Amano clan gave up resistance and left Inui castle. 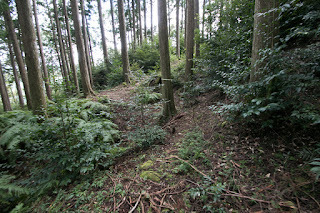 The history of Amano clan as the local lord of Inui area had ended after 400 years from its origin. 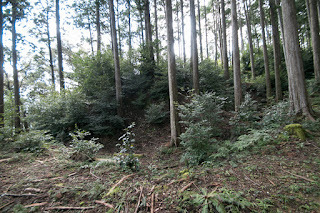 Amano clan which lost Inui castle followed Takeda clan, and after the fall of Takeda clan they belonged to Hojo clan which was the lord of Sagami province (Kanagawa prefecture). But Hojo clan was ruined by central ruler Hideyoshi Toyotomi (1537-1598) who was the master of Ieyasu Tokugawa in 1590, and Amano clan could not come back as a lord. 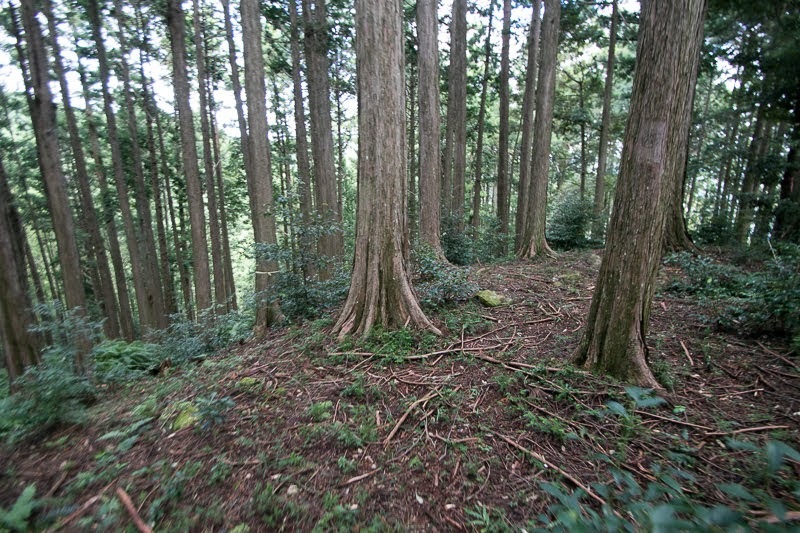 Inui clan might be used by Tokugawa clan for a while but might be abolished after the fall of Takeda clan in 1583. 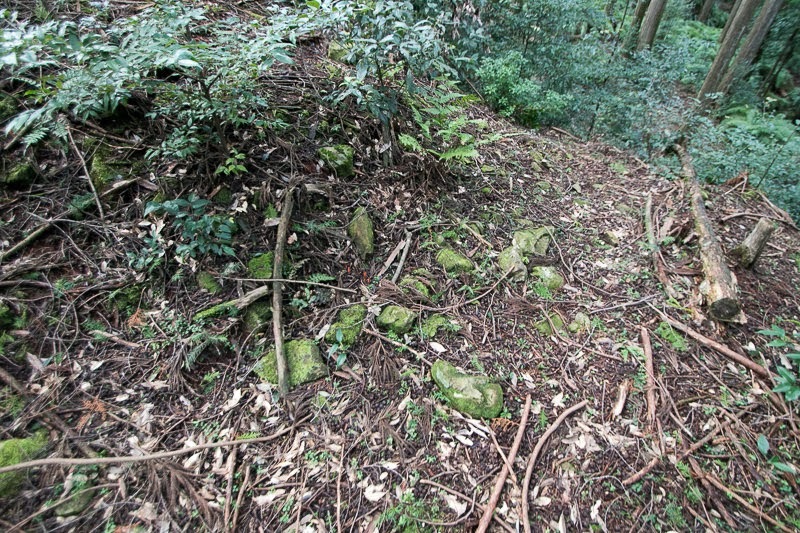 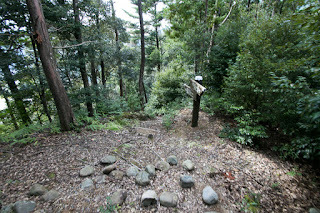 Now no building was lost but structure of the castle well remain on the mountain. 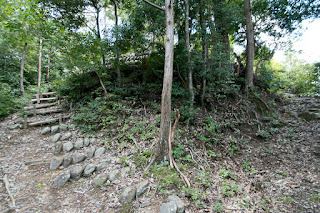 Huge Umadashi style front fort shows significant impact on this castle, different from not so advanced structures of other part of Inui castle. 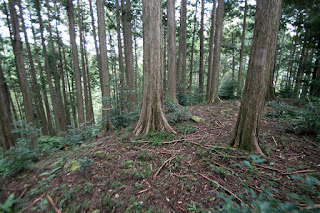 But this was an indelible tattoo of Amano clan which was the follower of Takeda clan, thus Amano clan could not change to Tokugawa clan any more and had to leave the castle and their territory. 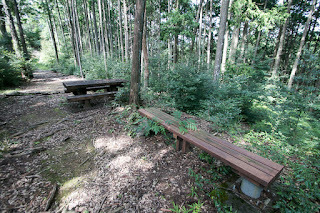 30 minutes walk from Akiba Bus Service Akiba line from JR Central Fukuroi station Inui-jo Iriguchi bus stop. 40 minutes drive from Shin-Tomei Expressway Hamamatsu-Hamakita interchange.